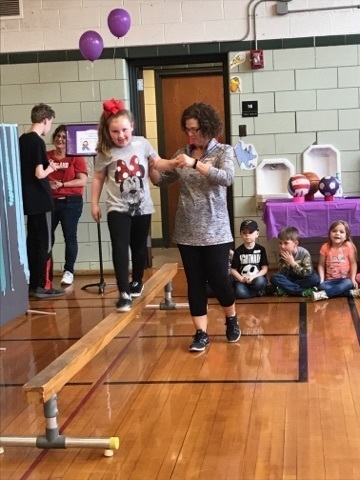 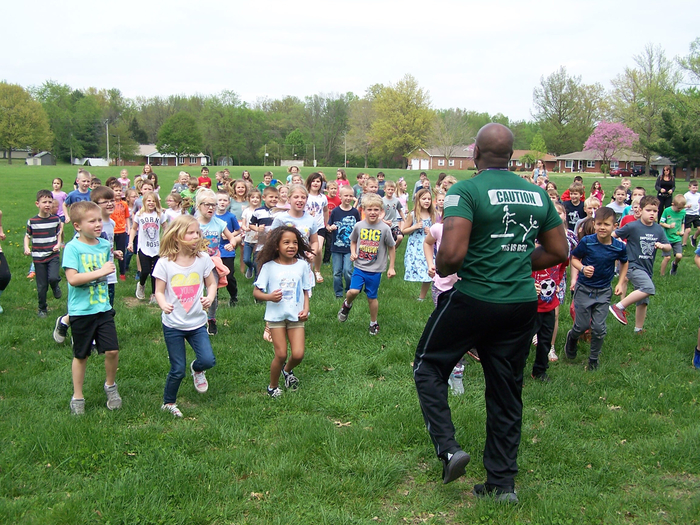 Terry Boyd was first grade’s fitness instructor today for Exercise Day. 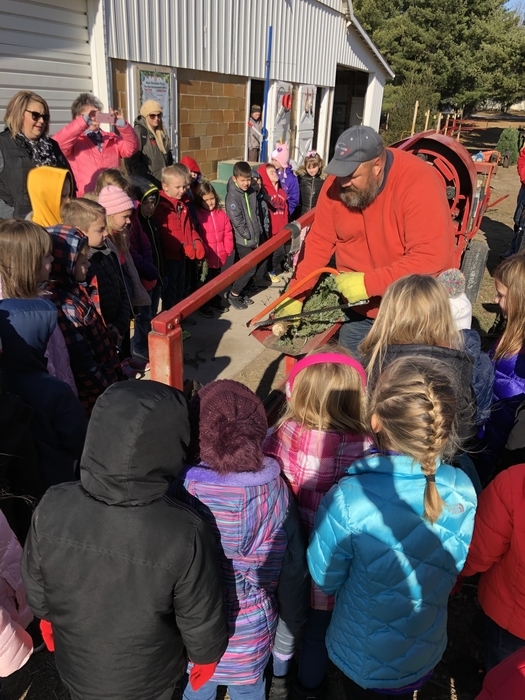 The kiddos loved learning from him! 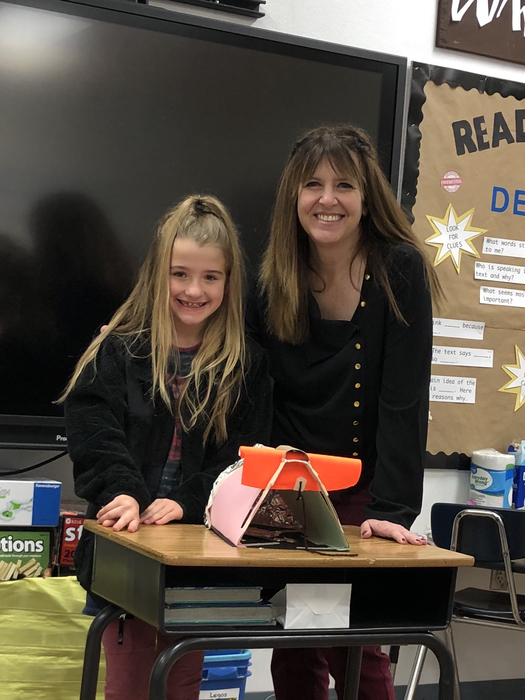 Celebrating these 2 special ladies! 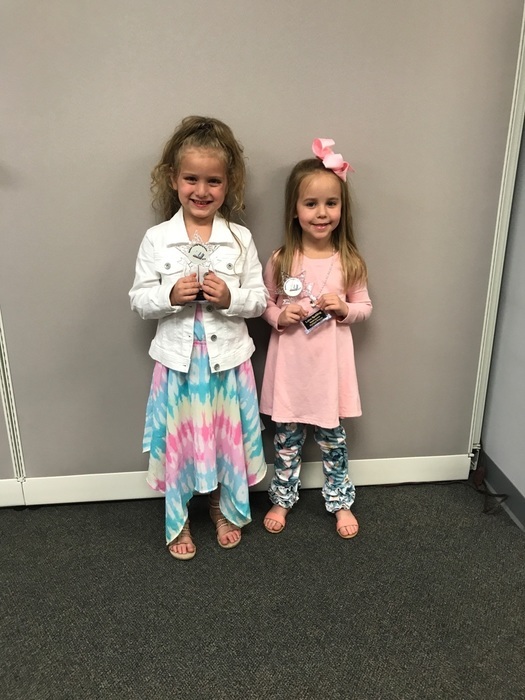 Congratulations to our kindergarten Young Authors! 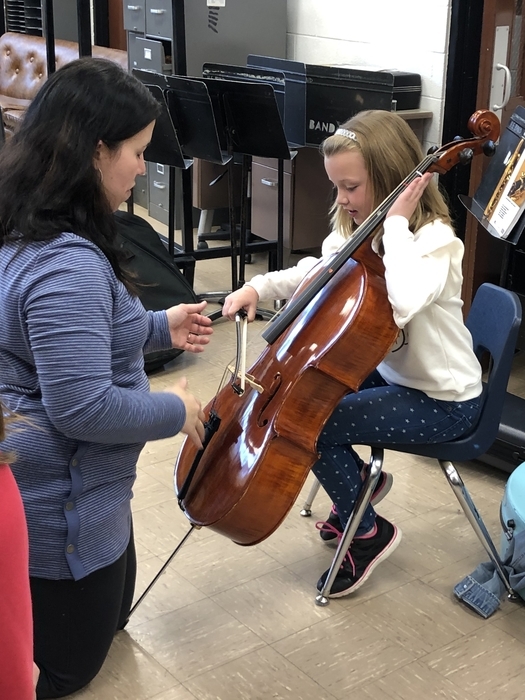 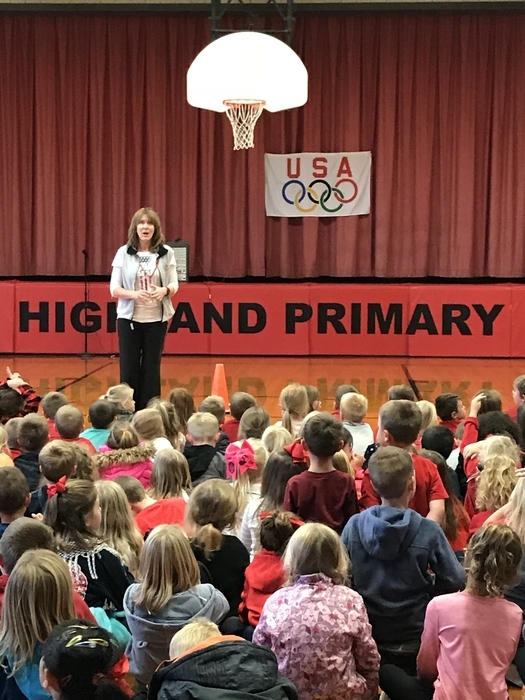 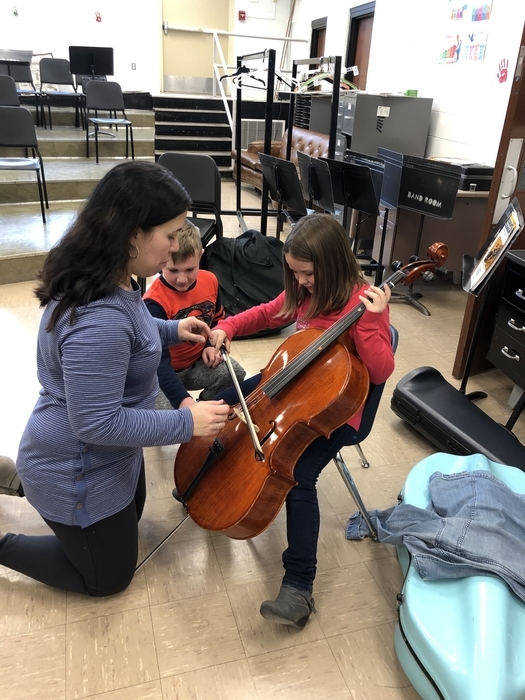 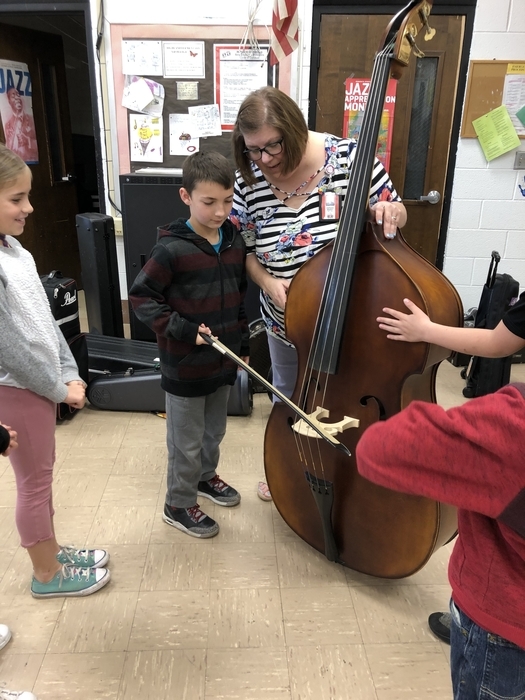 On Monday, April 15, every HP student was treated to a presentation of the bowed string instruments by Highland's very own professional musician, Angelina McLaughlin-Heil! 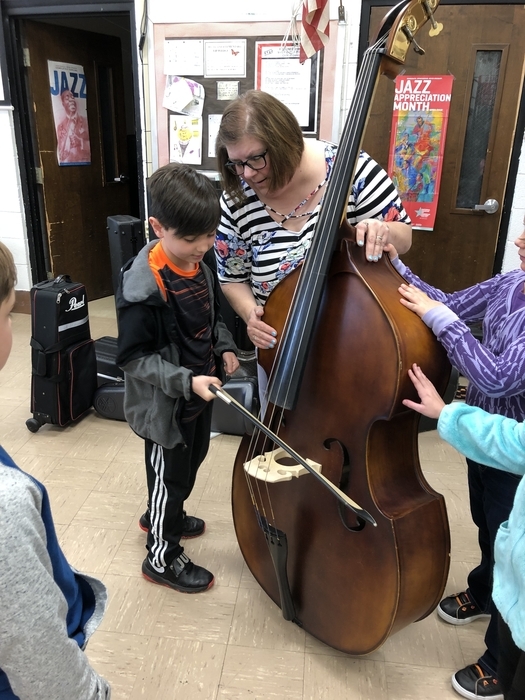 The children enjoyed actively listening and even had the opportunity to play one of the instruments at the end. 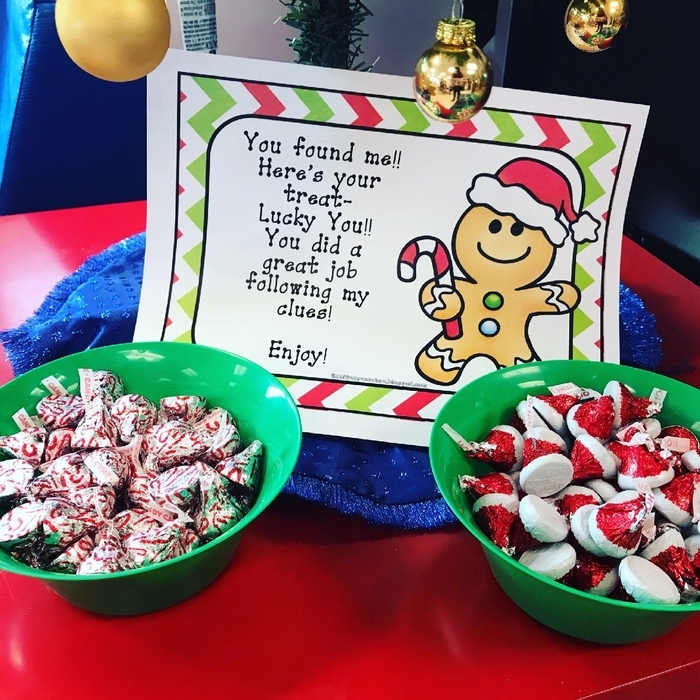 Thank you, Angelina! 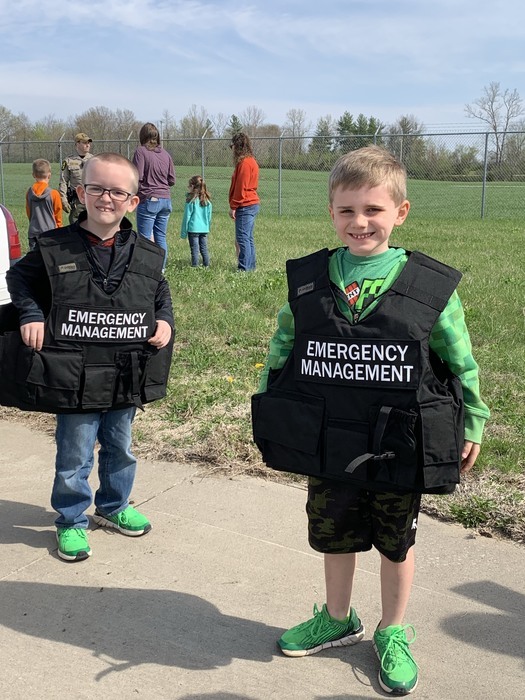 A few of Mrs. Townsend's students were able to try on police vests at the Illinois Police Presentation! 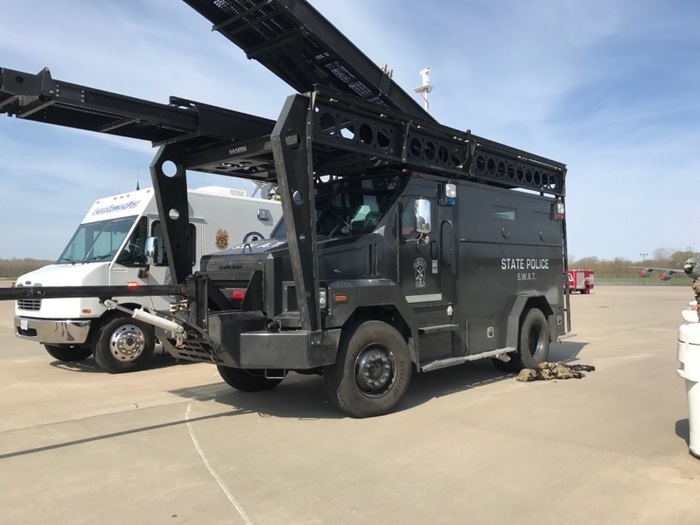 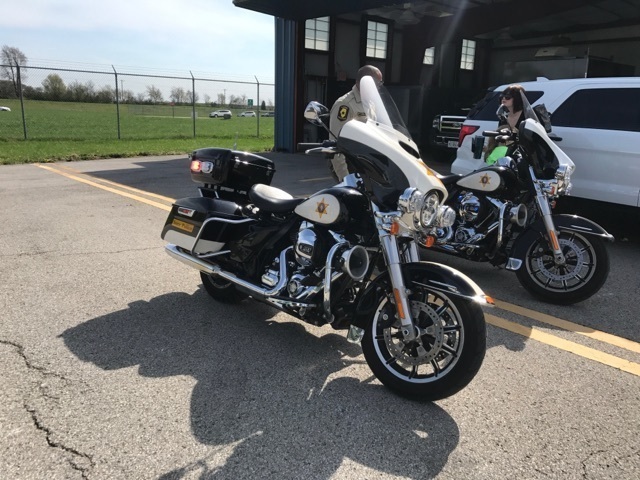 There were so many police vehicles to see! 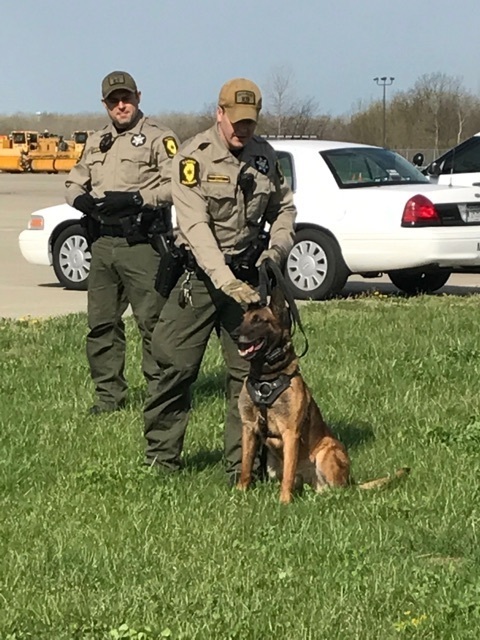 The students also got to see a K-9 presentation! 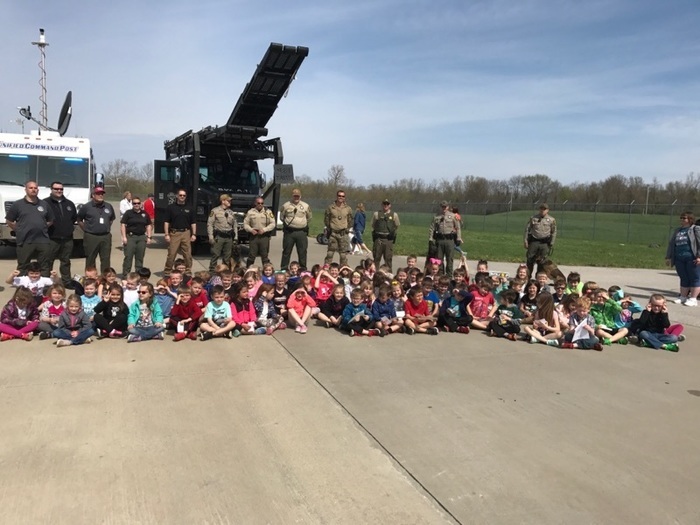 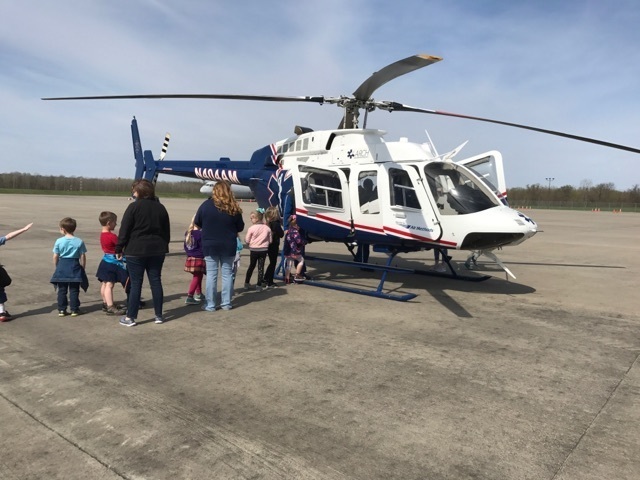 Our kindergarten students enjoyed the Illinois State Police presentation! 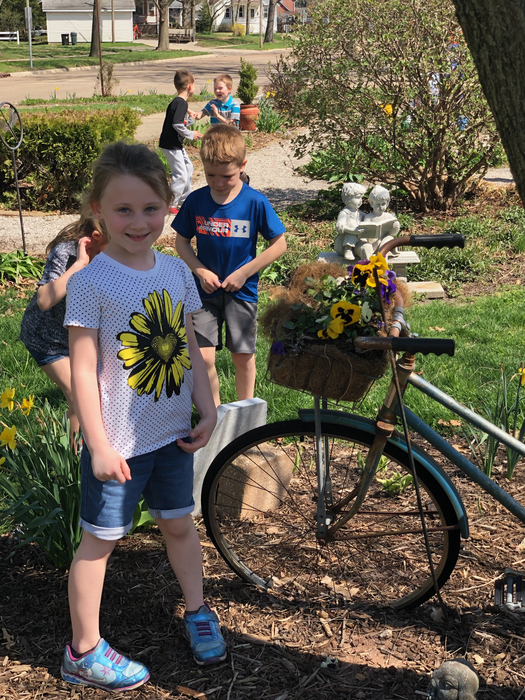 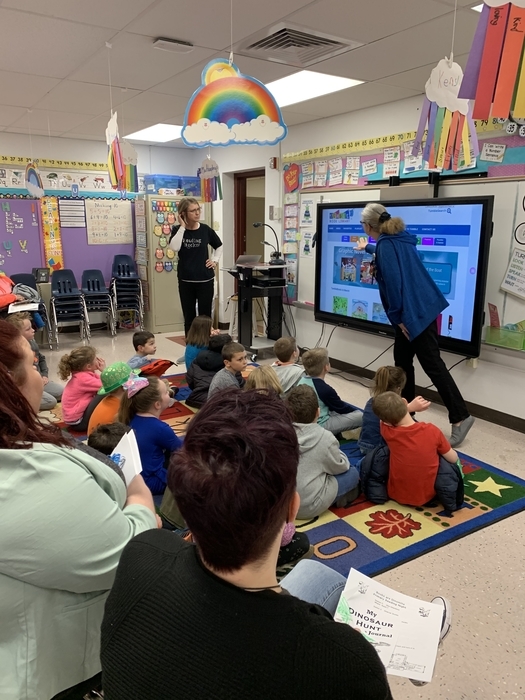 Mrs. Moss’s class explored Lila’s Garden to connect their learning of plant parts and the plant life cycle! 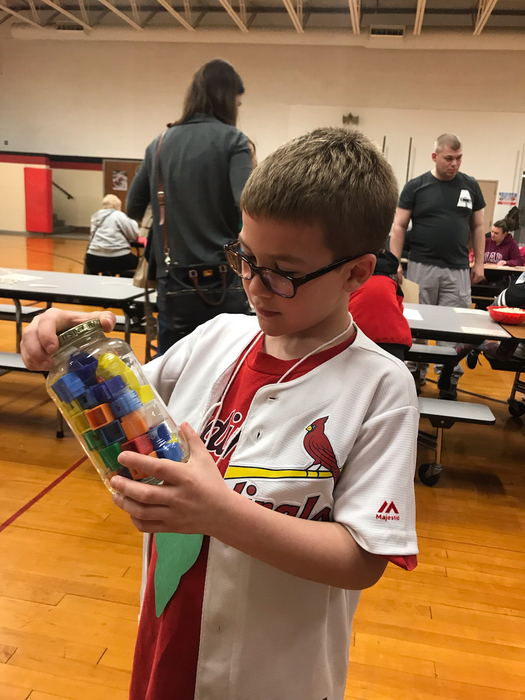 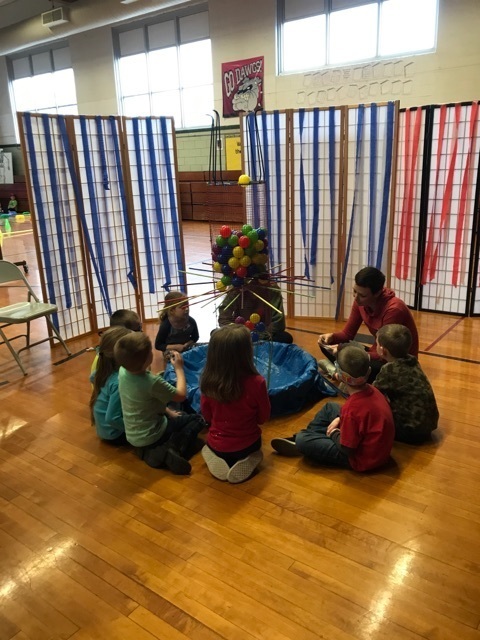 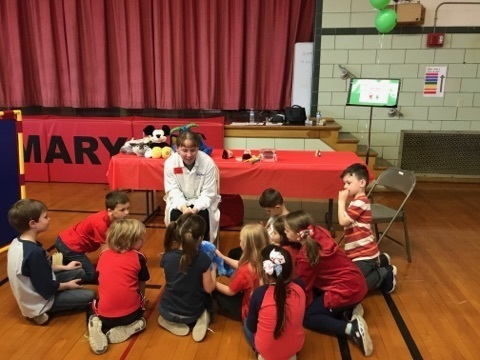 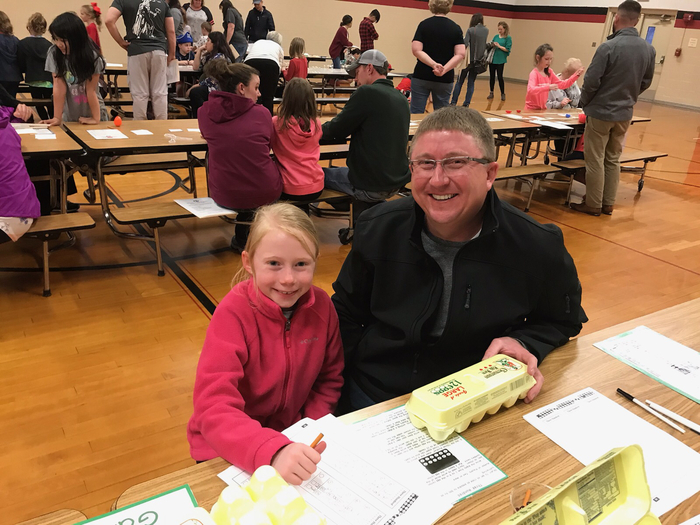 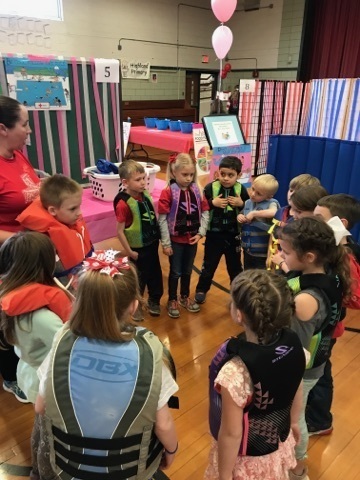 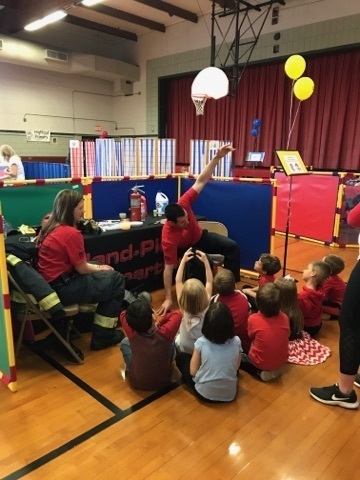 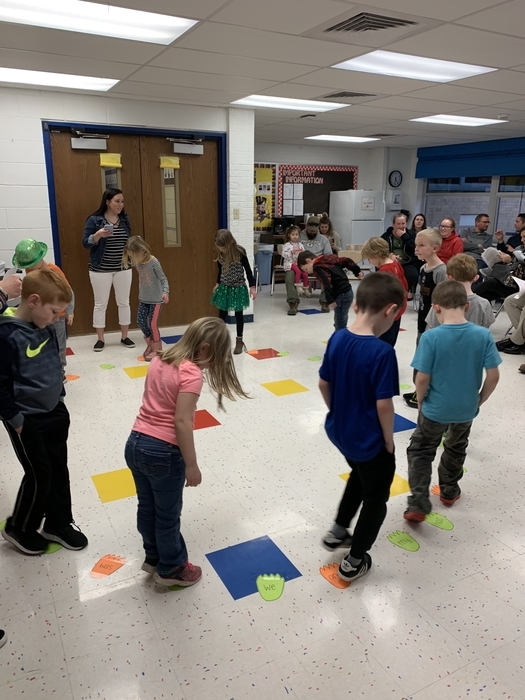 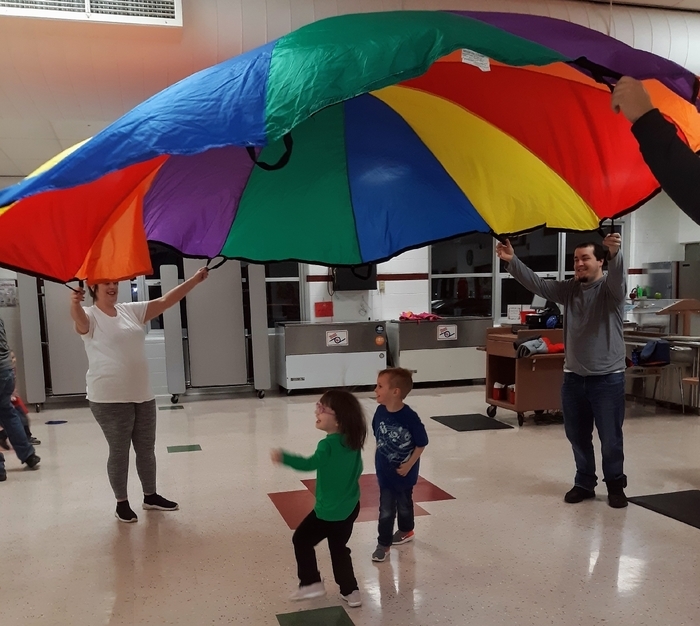 Highland Primary kindergarten students had a great time at the Wellness Fair! 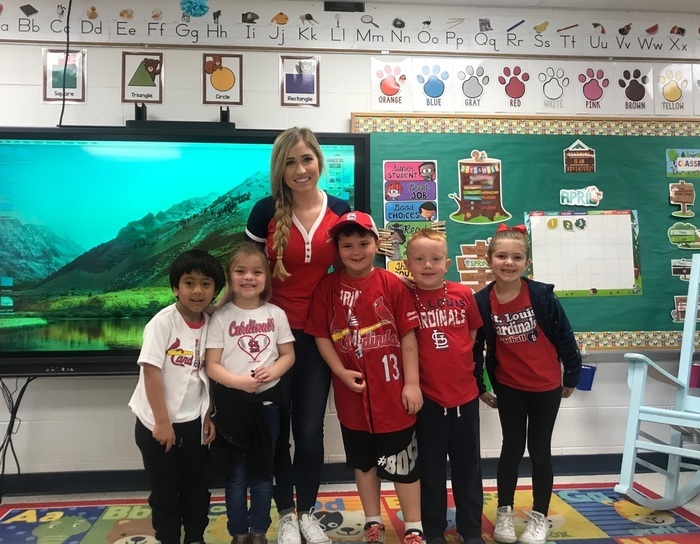 Go Cardinals! 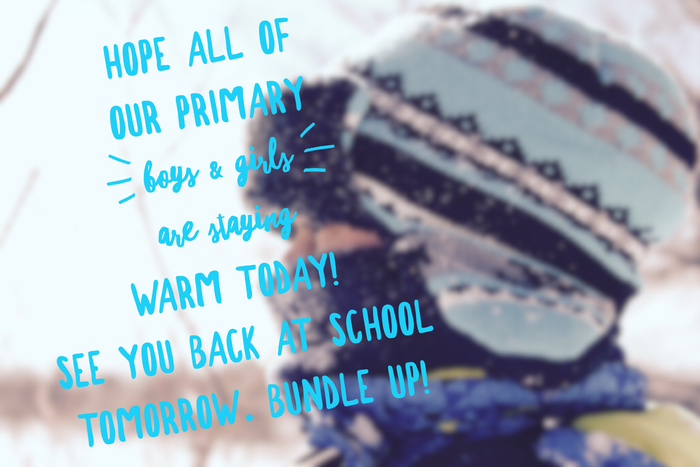 We've been rooting for you the last two days! 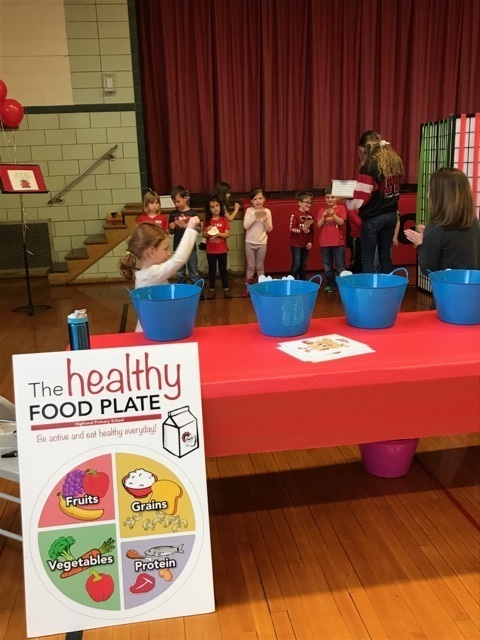 There were so many awesome stations to visit at the Wellness Fair! 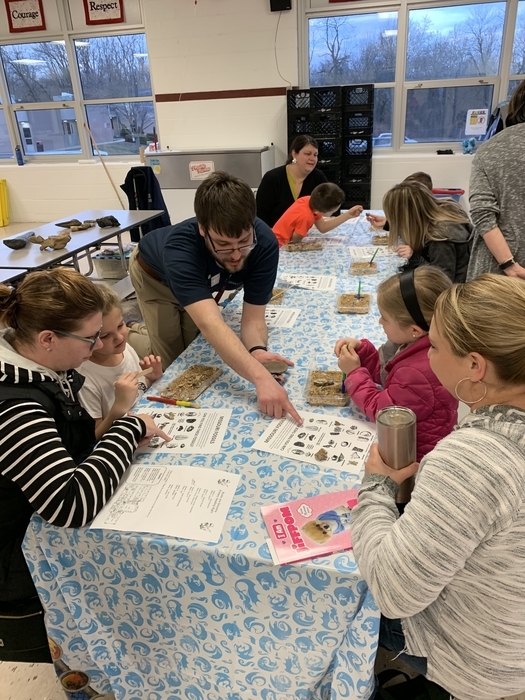 2nd Grade Family Math Night Second grade families had a blast at Second Grade Family Math Night! 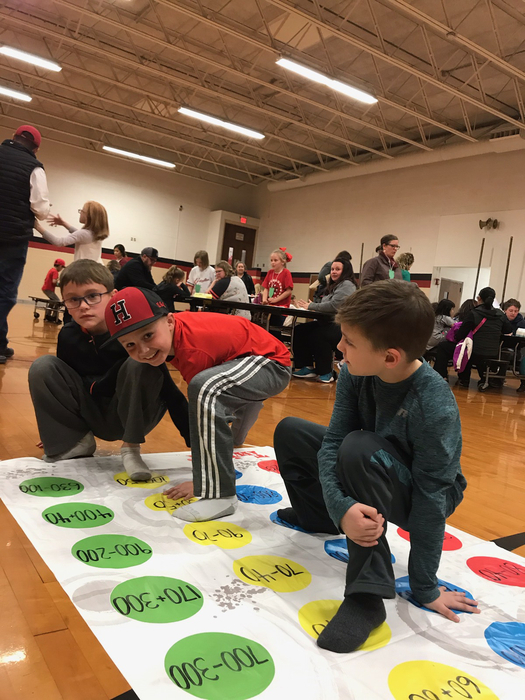 They played many games and much more! 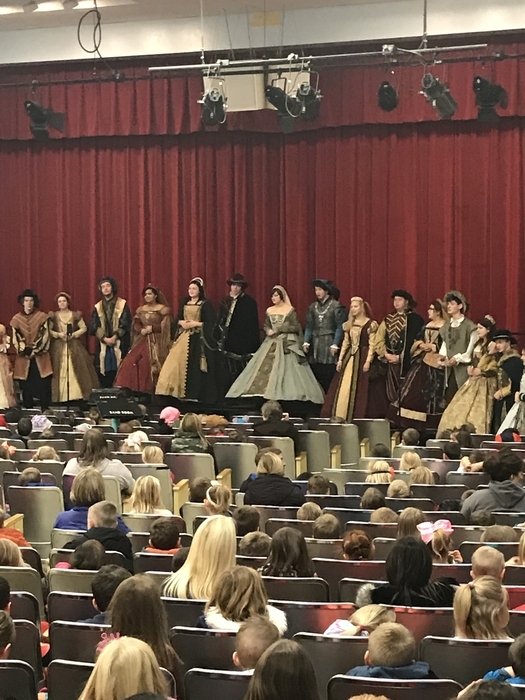 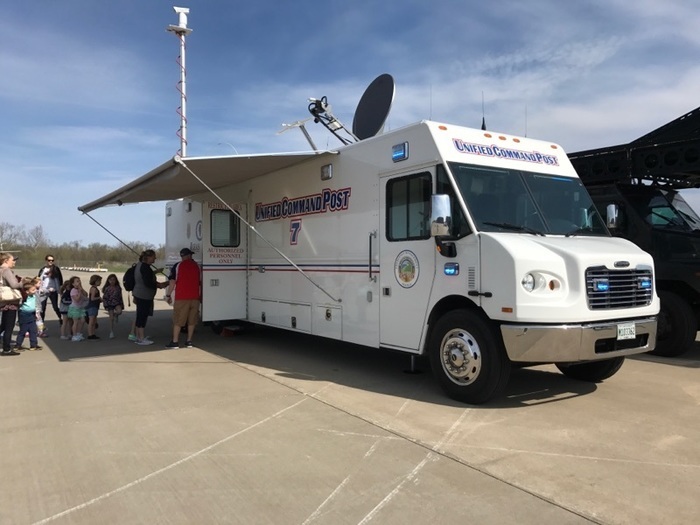 HP students loved the snippet of this they saw today! 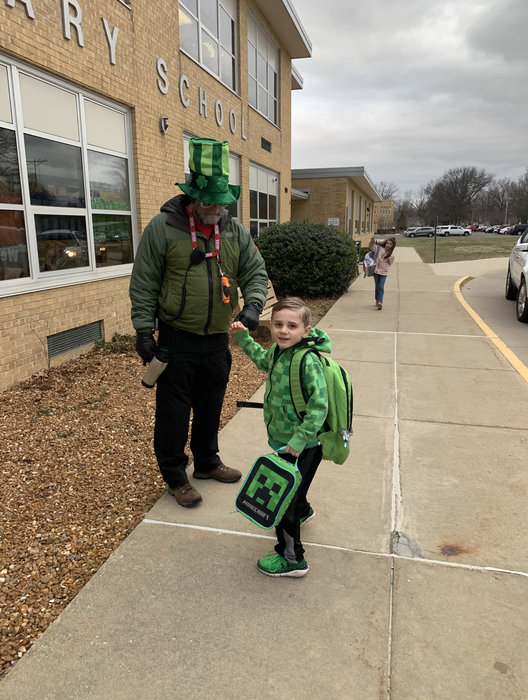 Mr. Skinner greeting our lucky students! 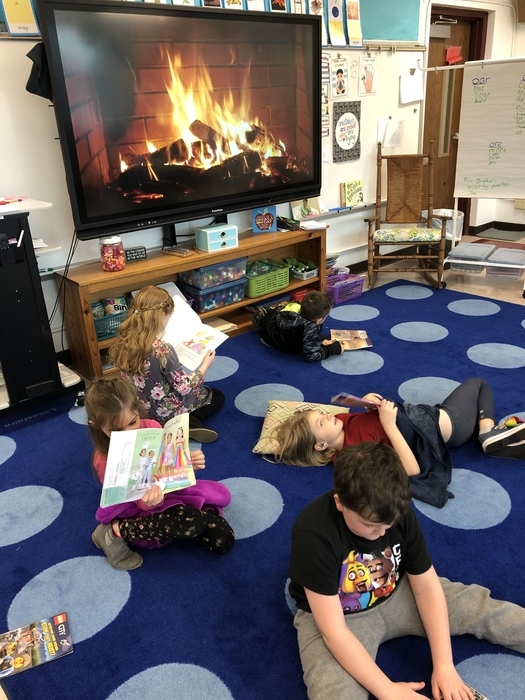 Who doesn’t love reading a good book by the fire? 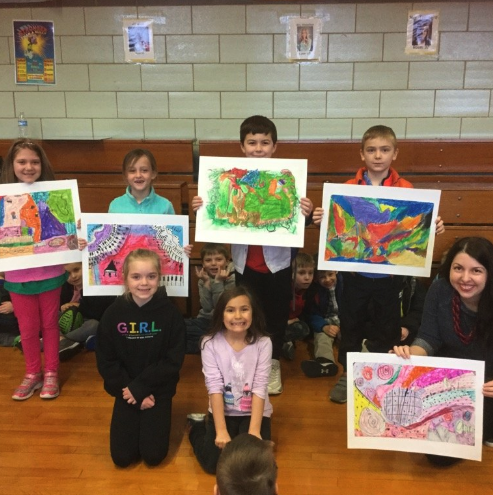 Second graders recognized for their artwork that was submitted to St. Louis Symphony's Picture the Music contest. 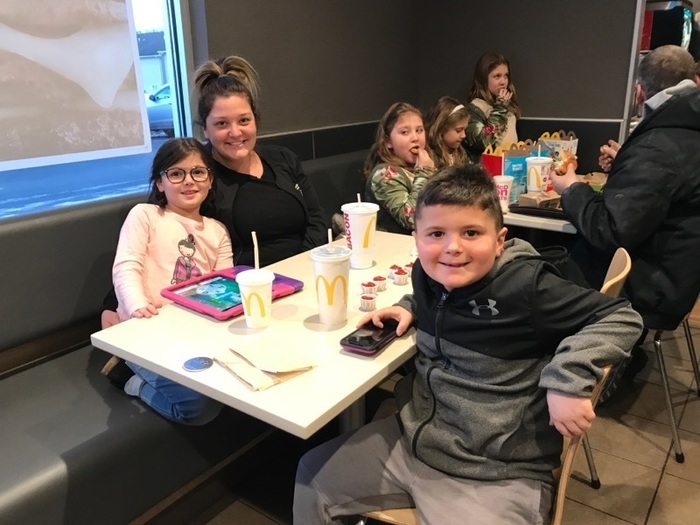 What a great turn out at McTeacher night! 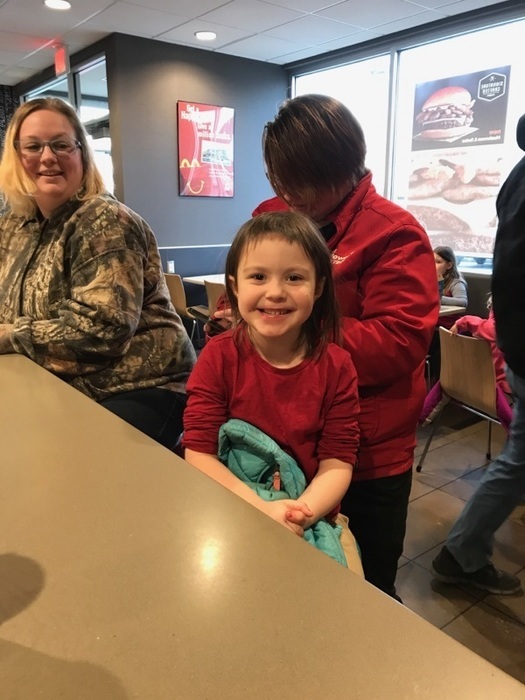 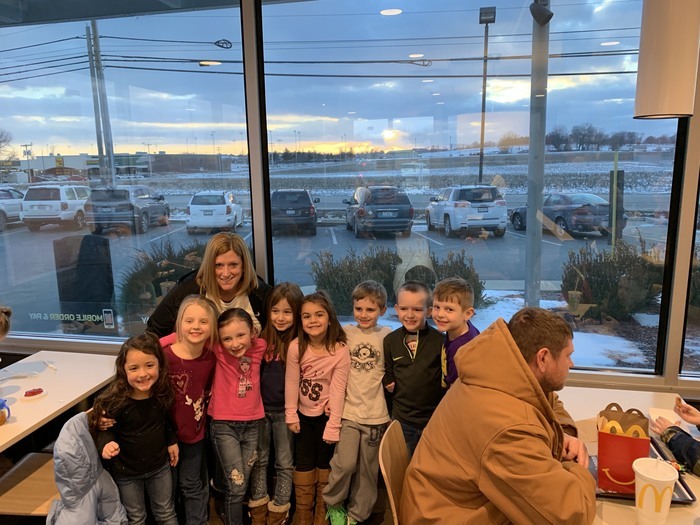 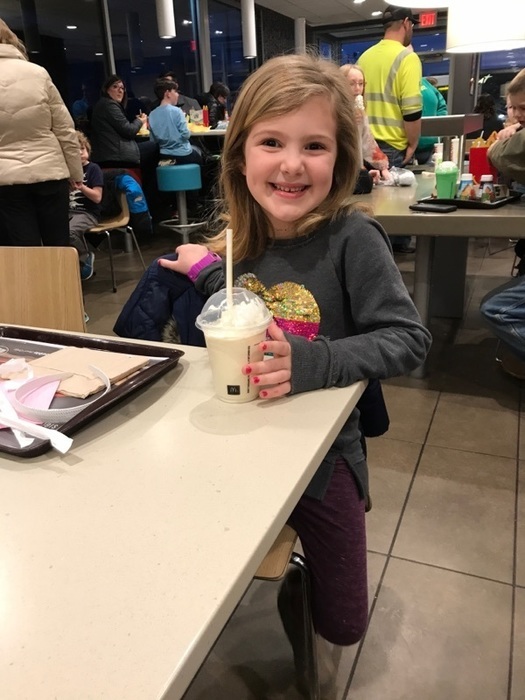 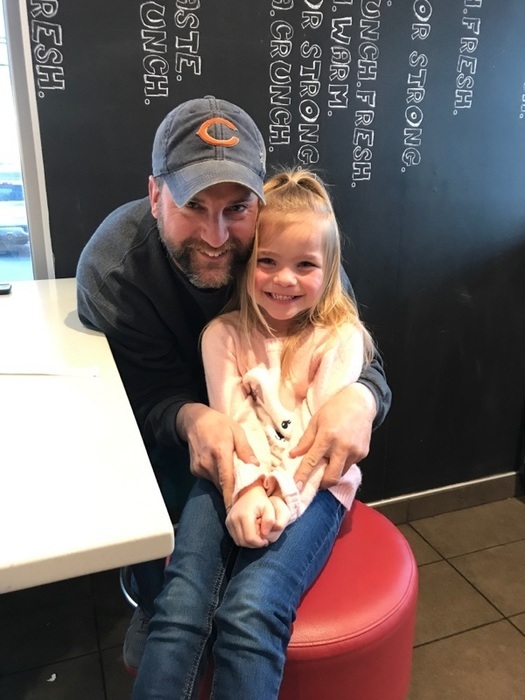 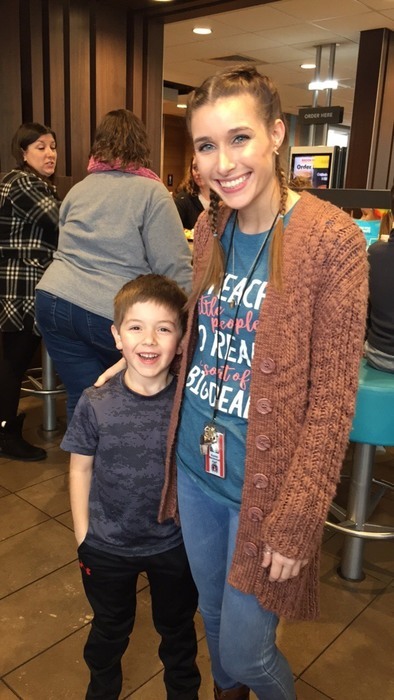 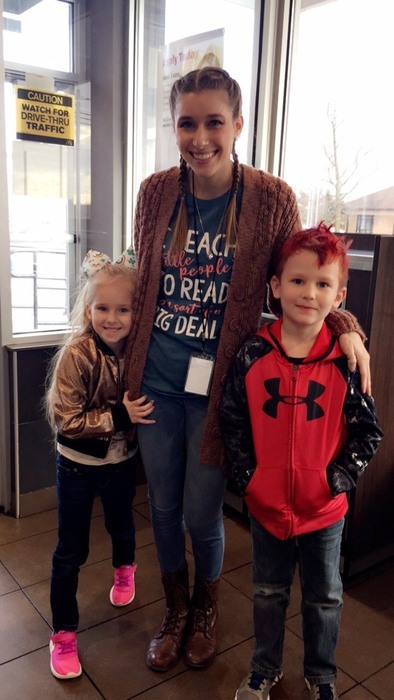 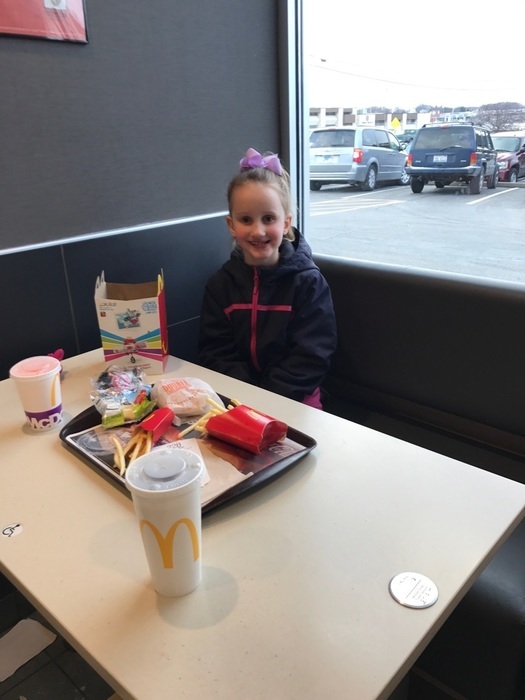 Many kindergarteners had a great time at McDonald's for McTeacher night! 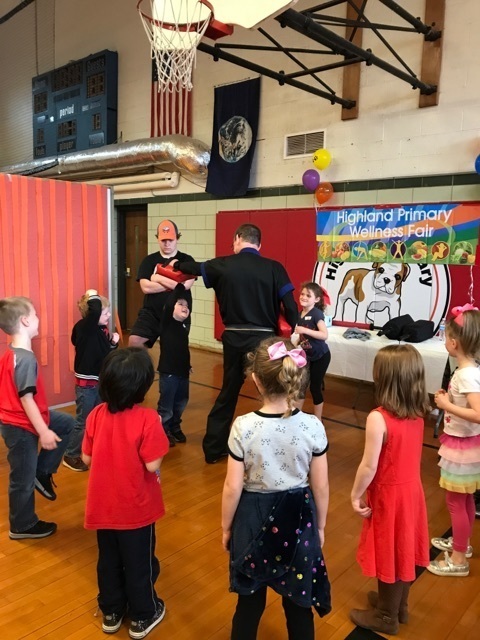 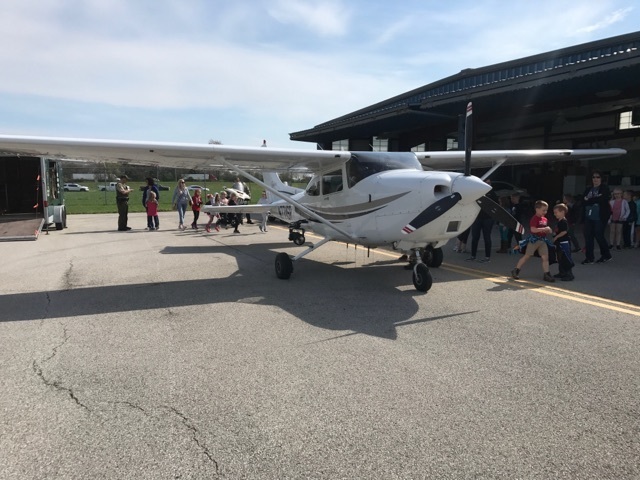 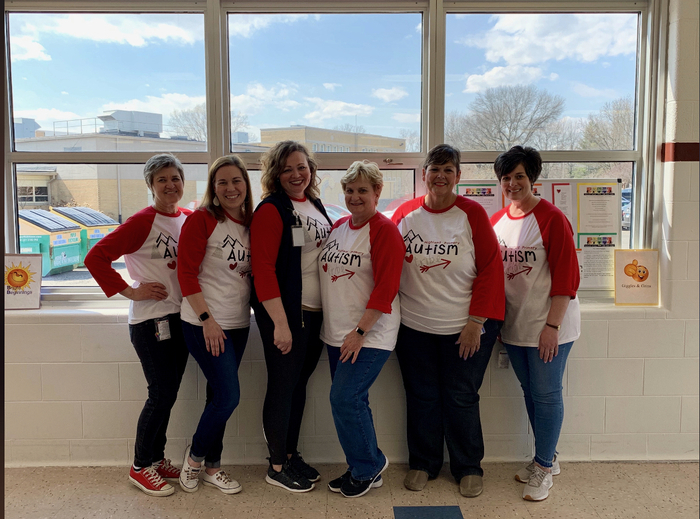 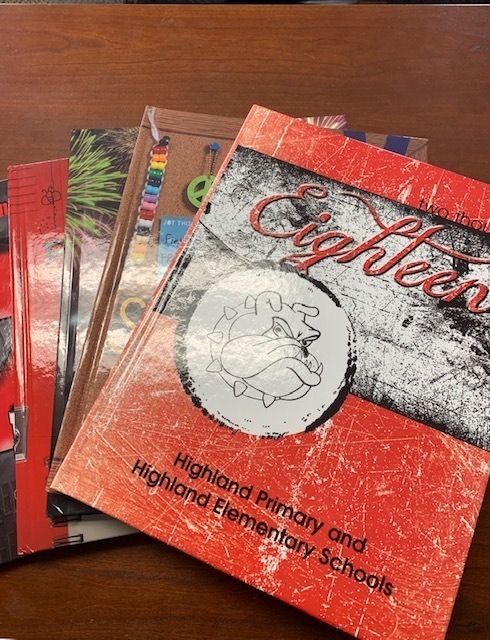 Thank you to all who came out and supported Highland Primary! 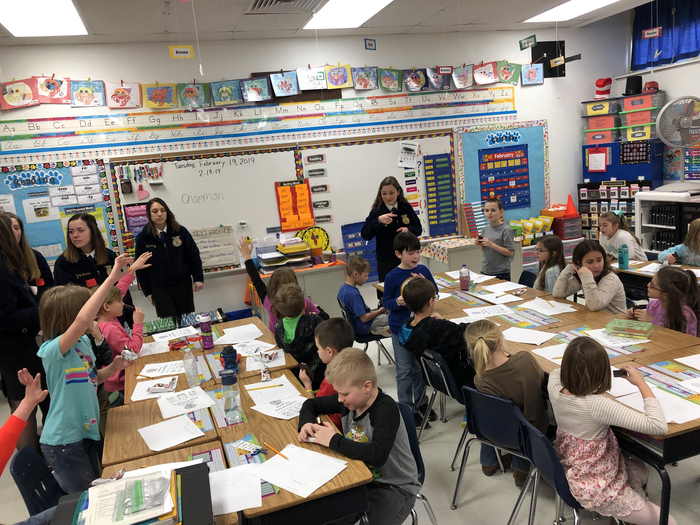 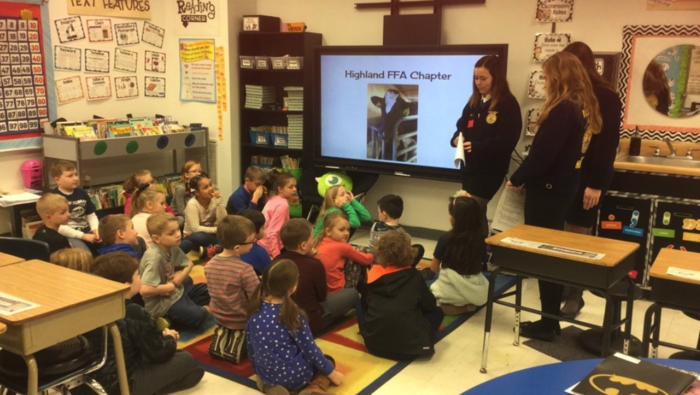 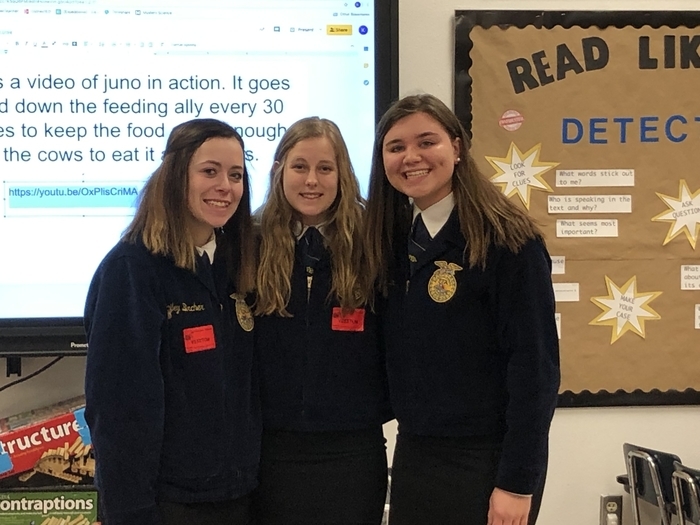 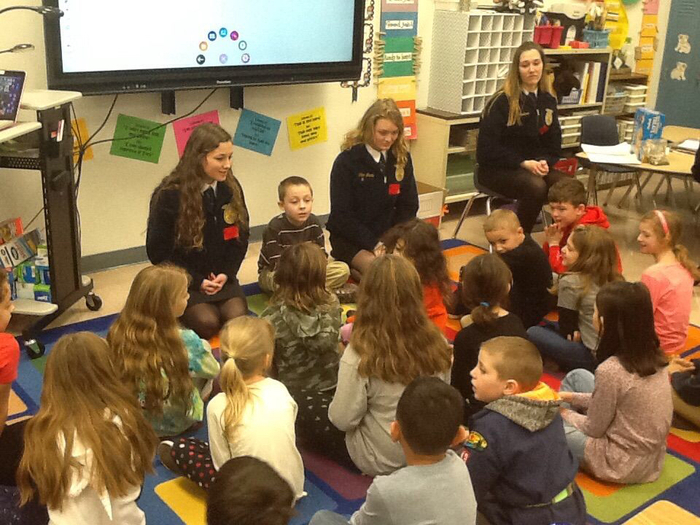 Highland FFA students came to talk to 2nd Graders today about Agriculture and dairy farming. 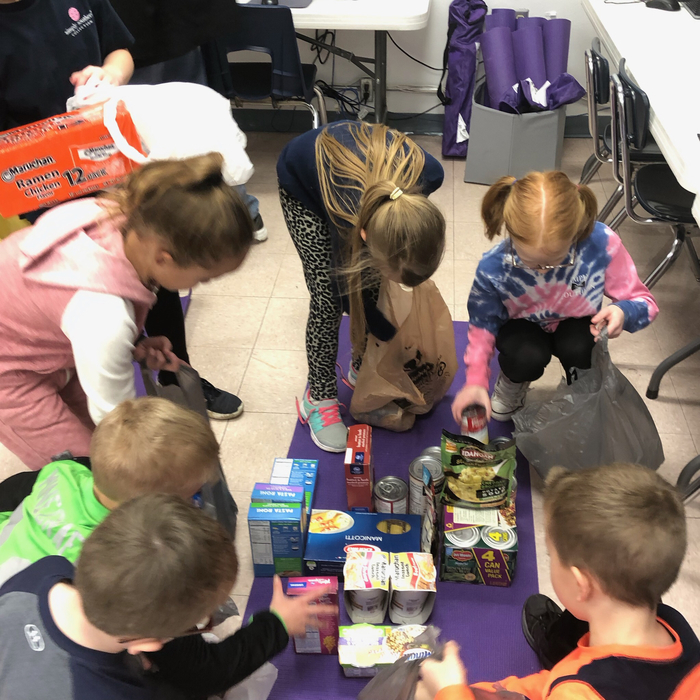 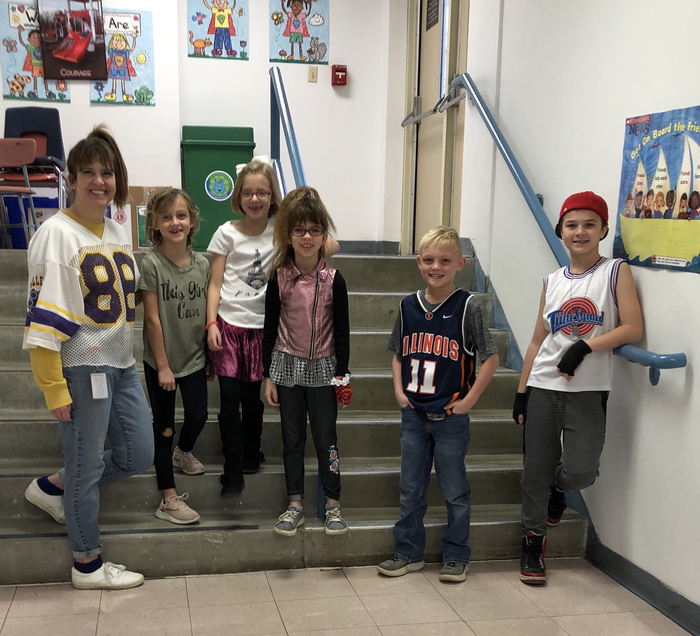 2nd Grade Food Drive Update. 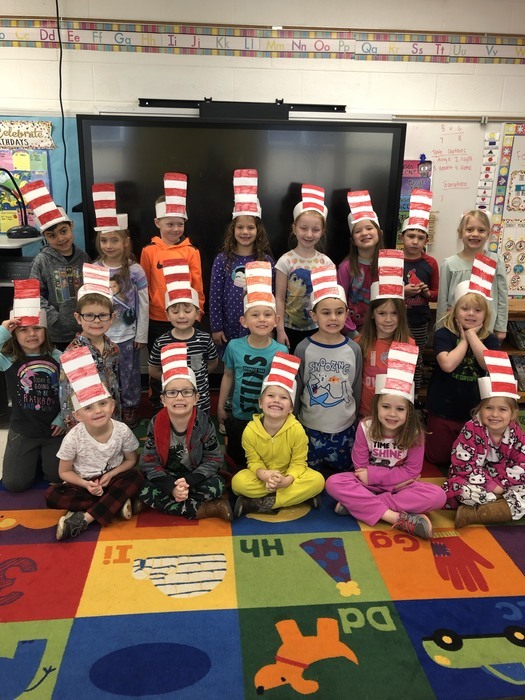 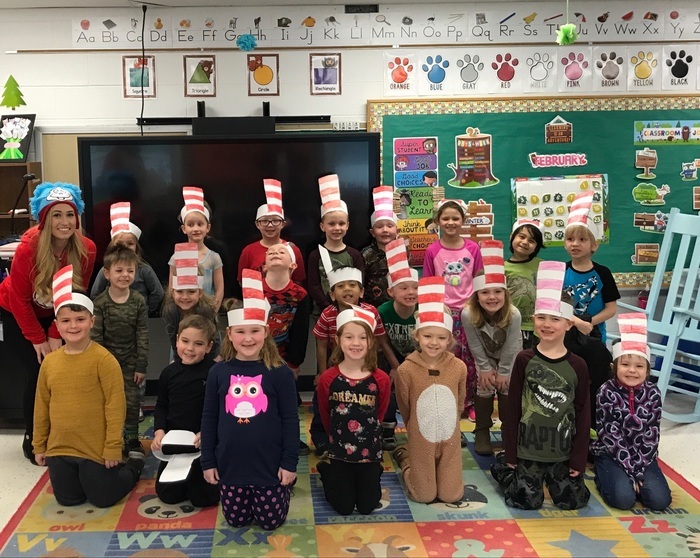 Kindergarten honored Dr. Seuss last week for Read Across America Day! 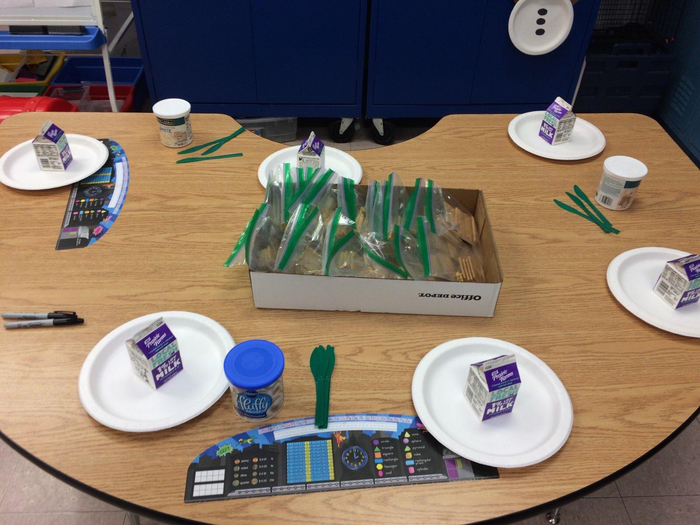 The second graders ARE having a food drive to accompany their Guided Reading story, The Food Crew. 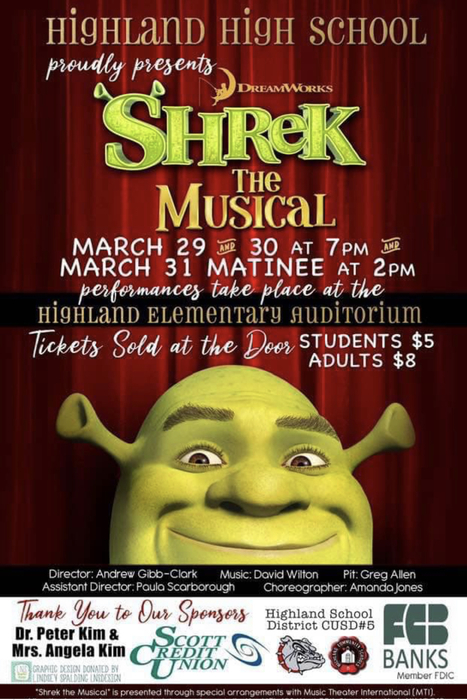 It runs through this Friday, February 22. 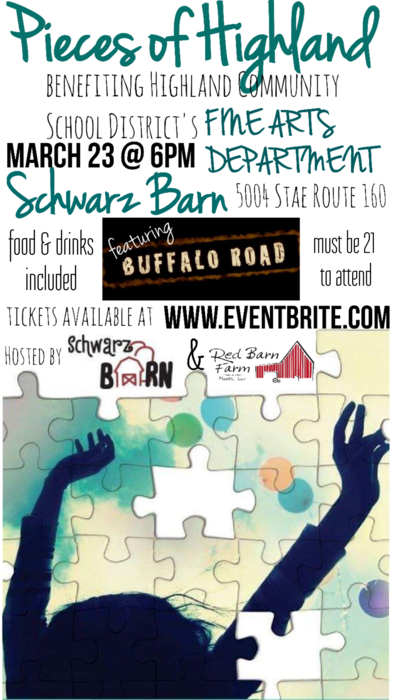 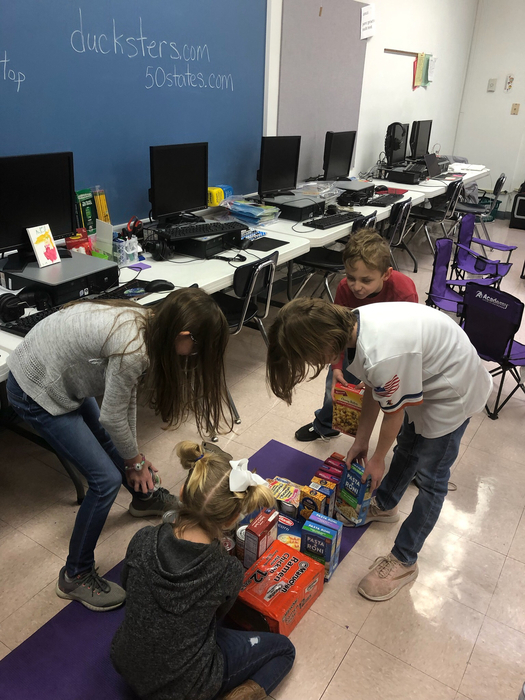 The donations will be given to the Highland Food Pantry. 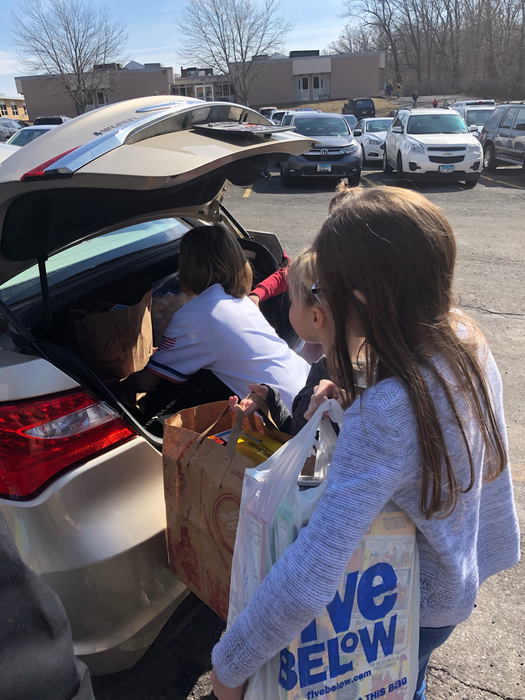 The Food Pantry suggested tuna, tuna helper, breakfast cereal, and favorite after school snacks. 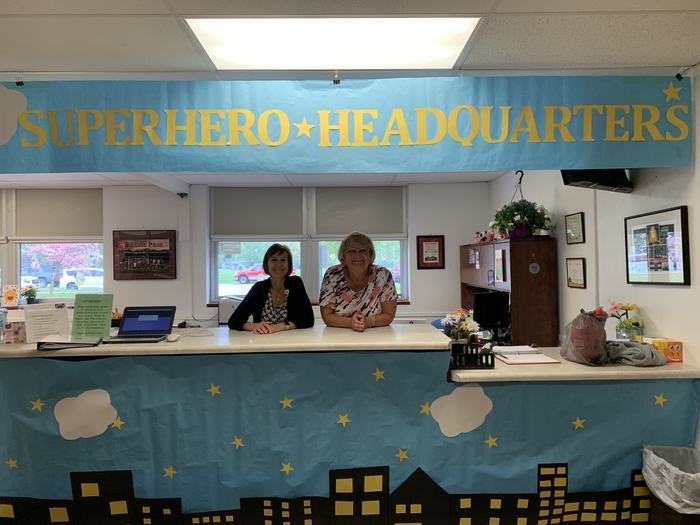 Please send any donations to the office for the HP building. 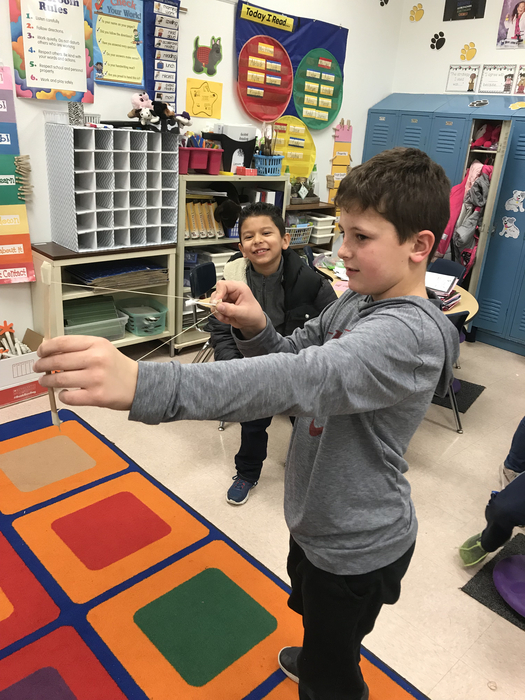 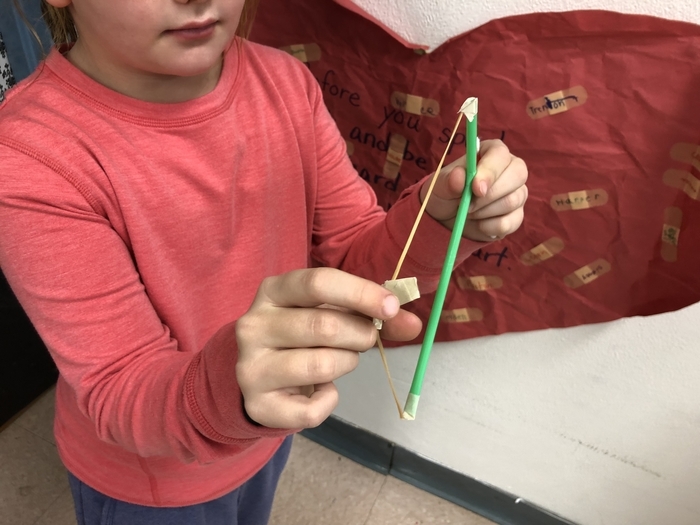 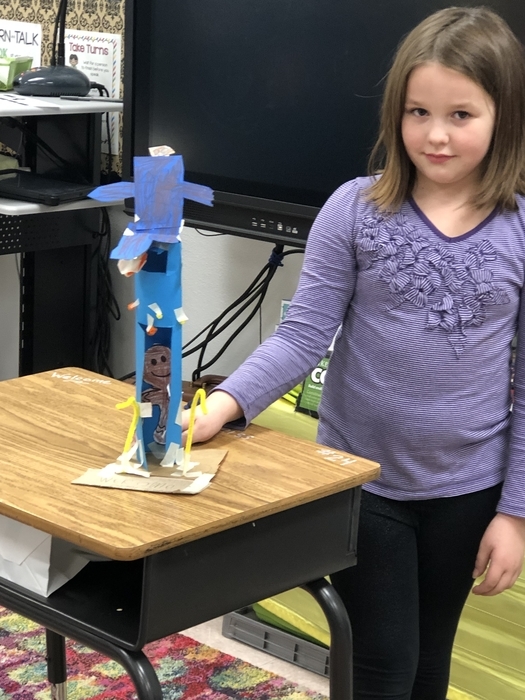 Students in Mrs. Laird’s and Ms. Kellerstrass’ class made Cupid’s bow and arrow for their Valentine’s Day STEM project. 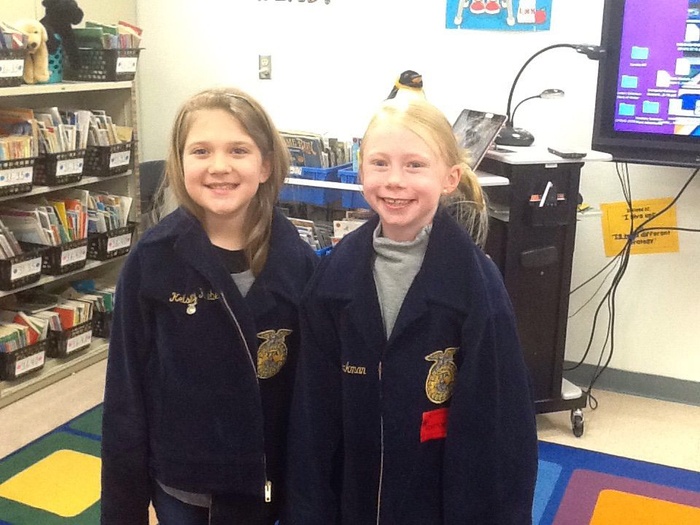 Second graders learning about agriculture and FFA. 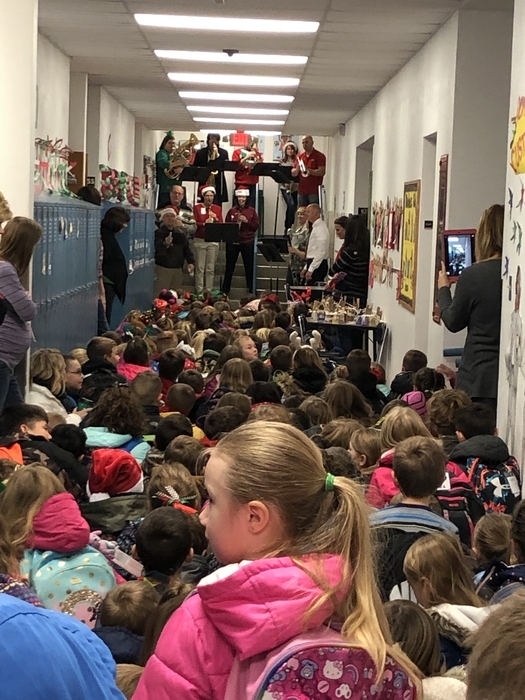 Our 2nd graders are holding a food drive of our own for the Highland Food Pantry! 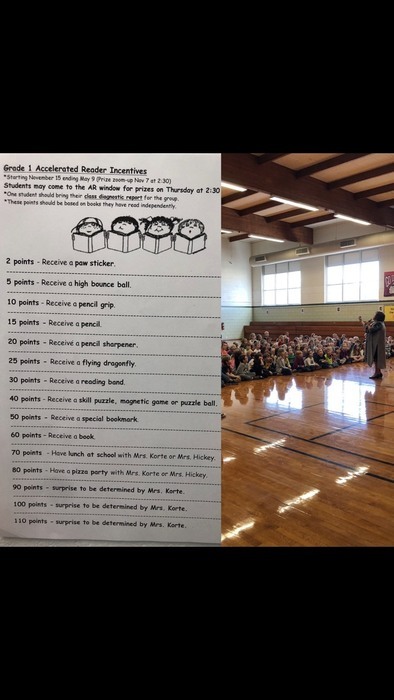 The Guided Reading teachers will be collecting these items from Tuesday, February 19—Friday, February 22. 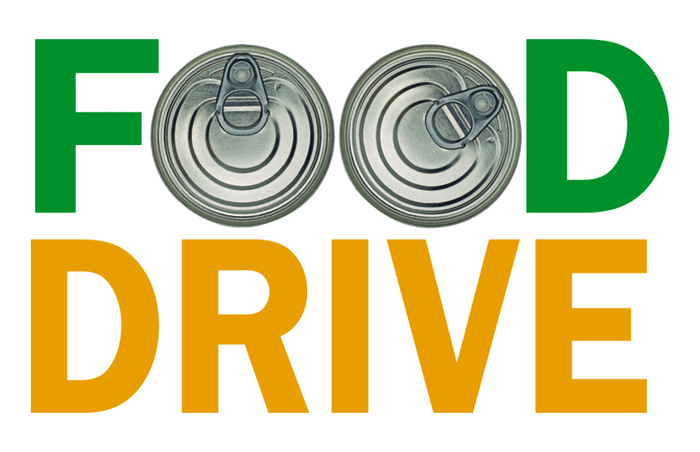 The food pantry is currently collecting tuna and tuna helper. 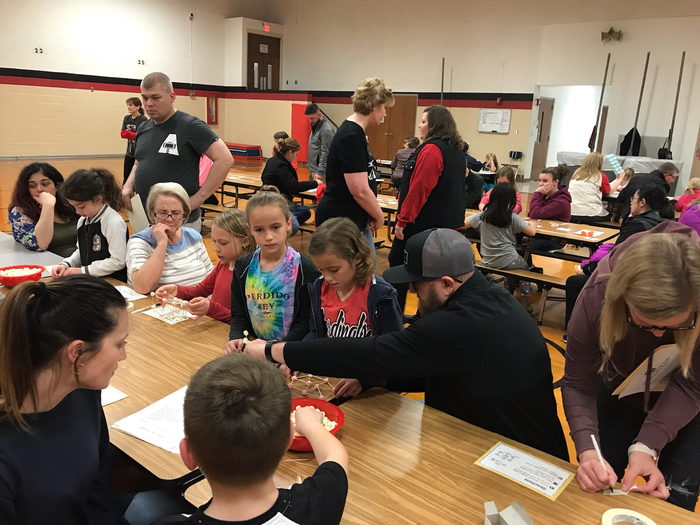 The food pantry also suggested a favorite breakfast cereal or a favorite after school snack. 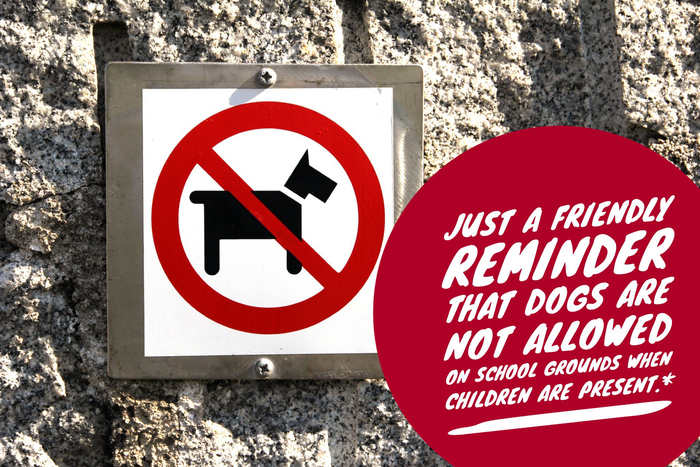 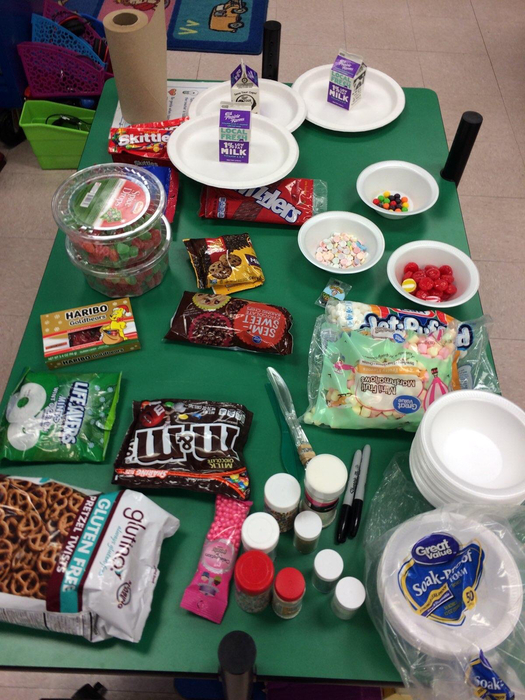 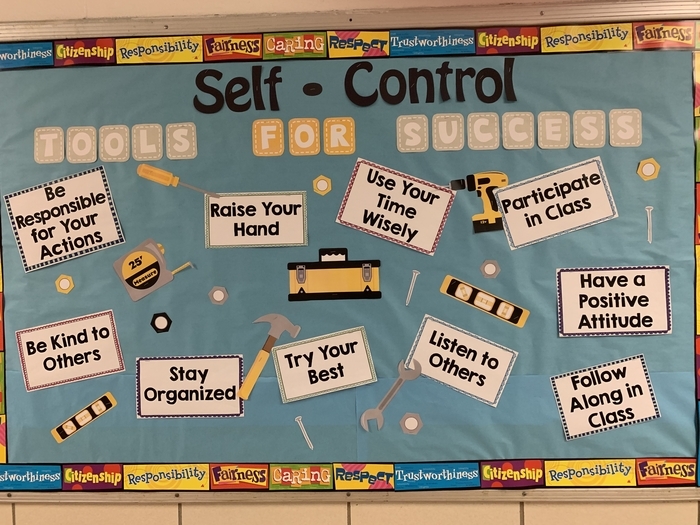 The students are encouraged to bring things they love to eat! 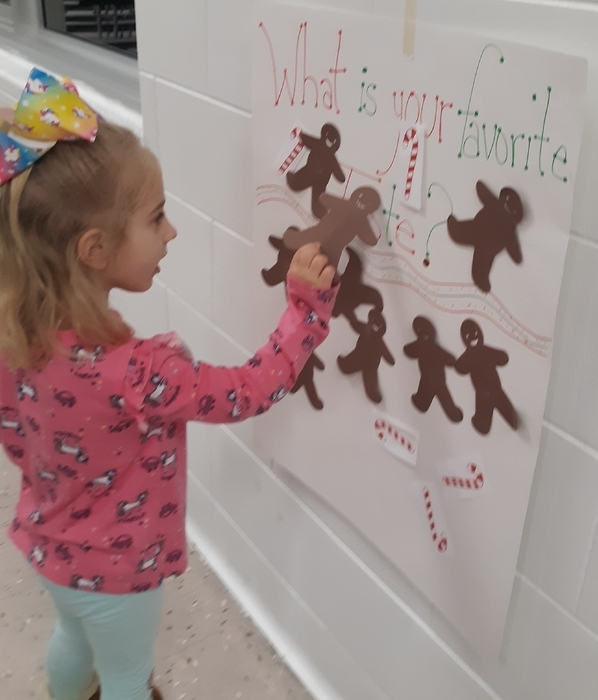 Thank you for helping us as we learn about citizenship in our community! 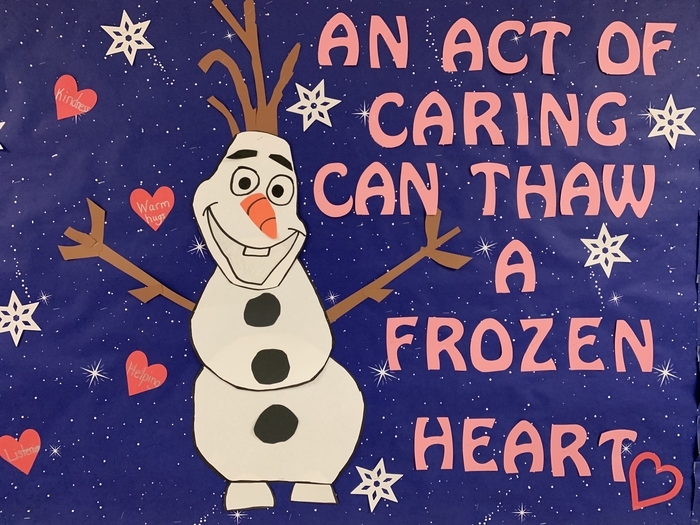 Our word of the month is caring. 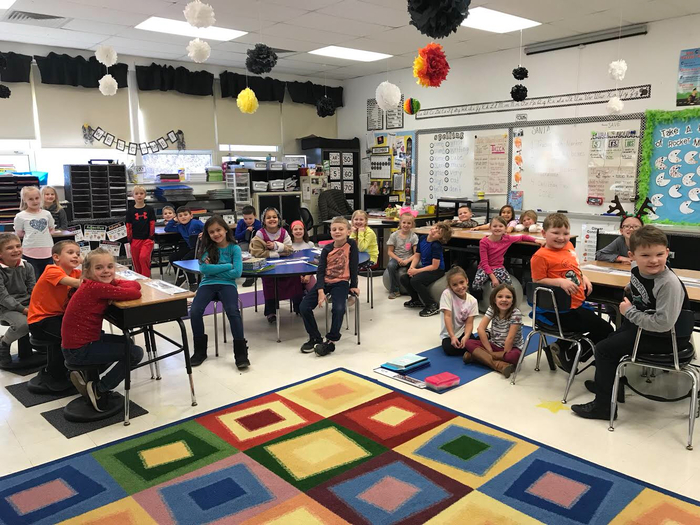 Kindergarten class gets wiggle seats! 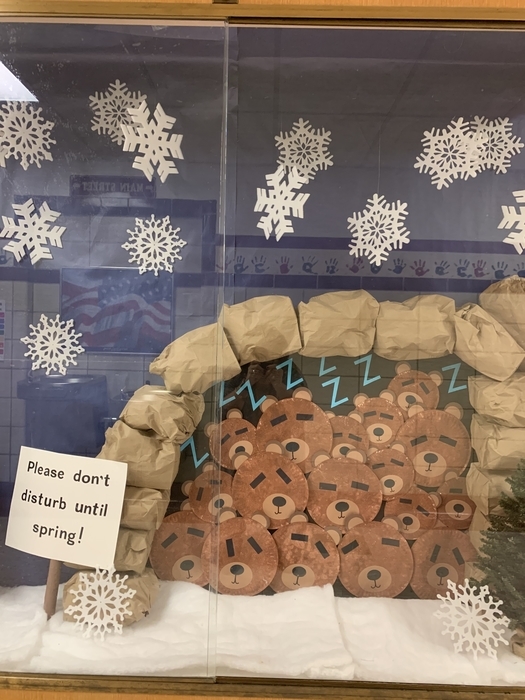 Today’s weather is for the bears! 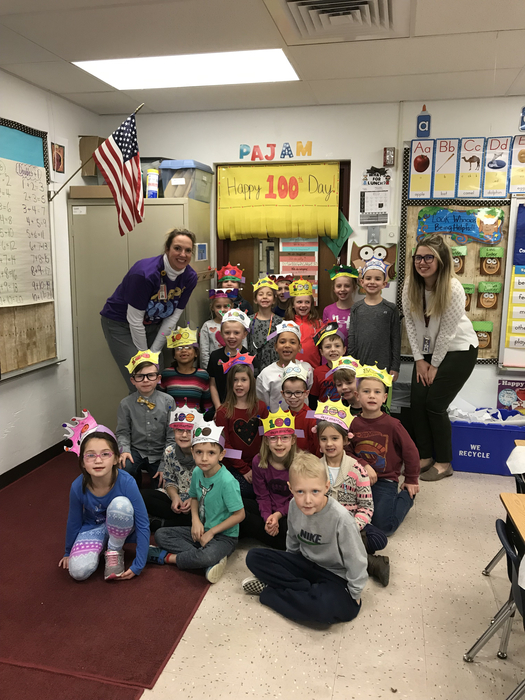 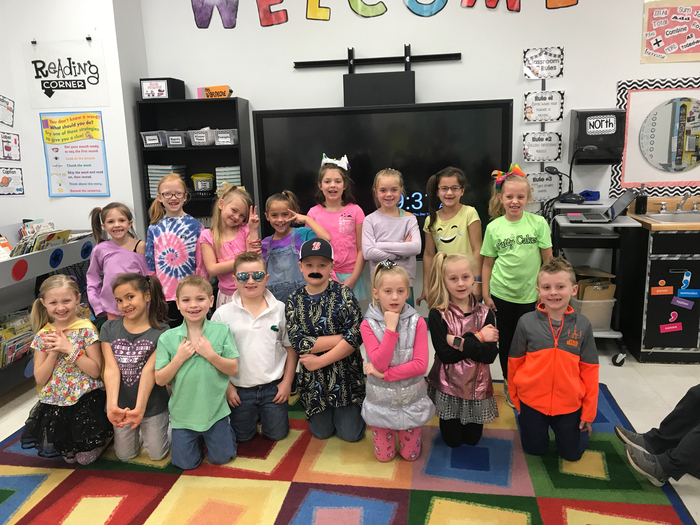 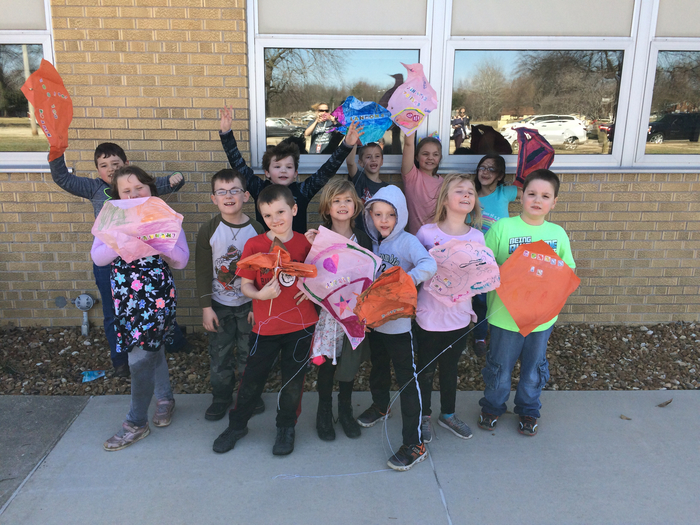 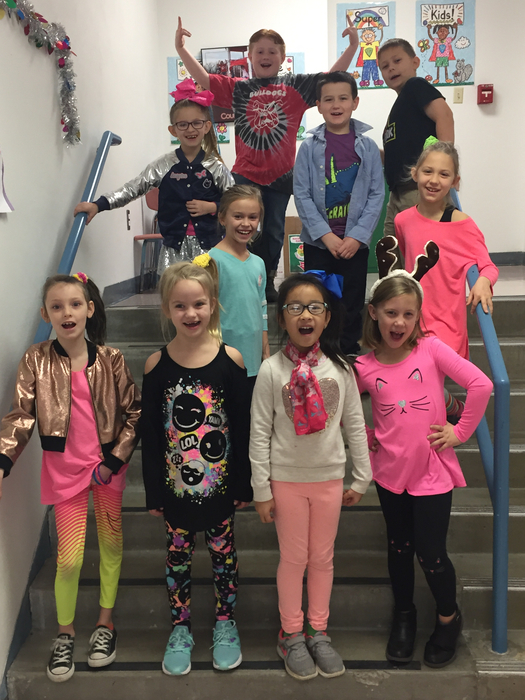 Mrs. Geest’s class had a blast celebrating 100 wonderful days of school! 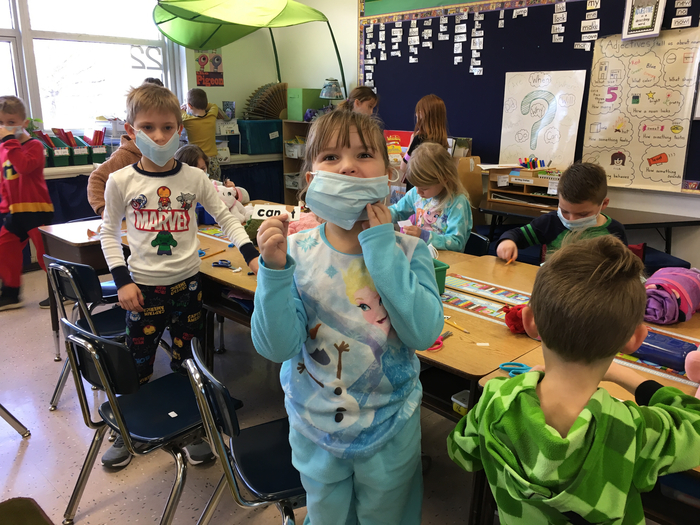 Mrs. Counts’ first grade class is doing contraction surgery on Sick Day! 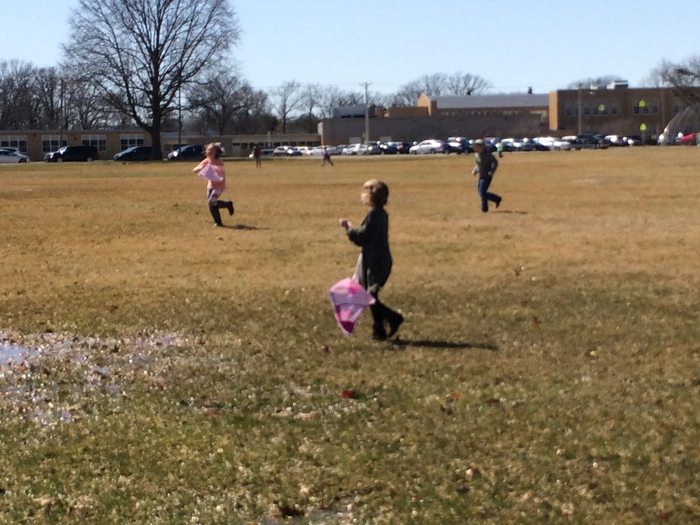 Taking advantage of no students in school! 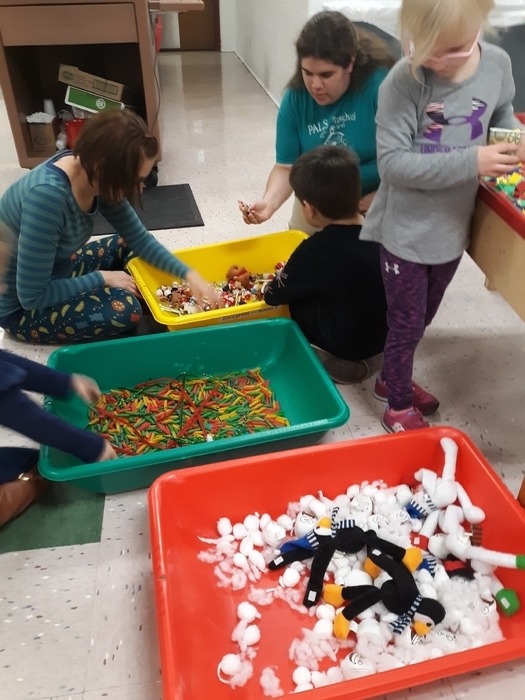 Time to clean our toys! 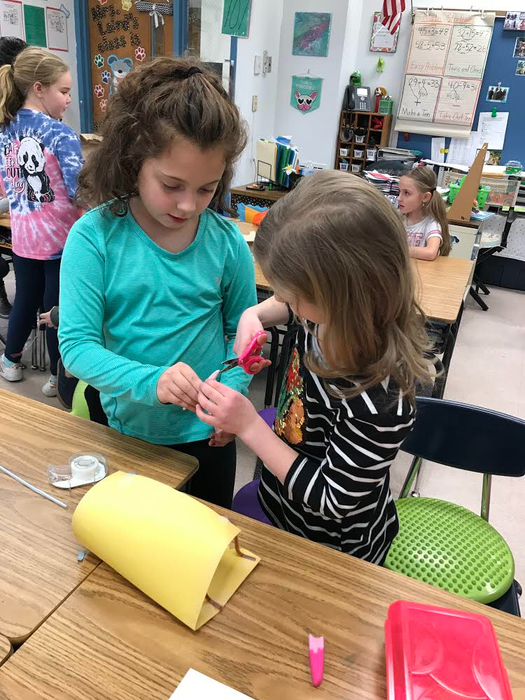 Girl Scout Troop 80 is encouraging students to become engineers. 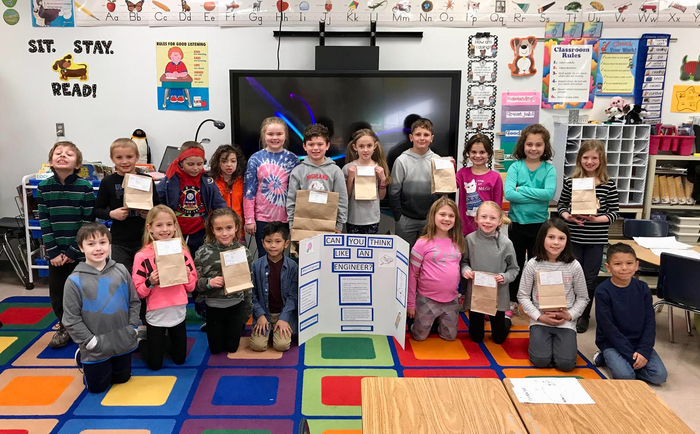 They put together a variety of STEM bags with the needed supplies and directions in brown lunch bags. 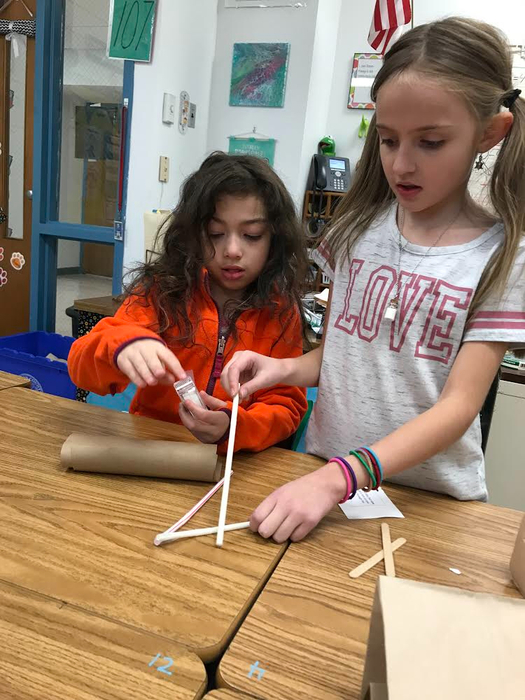 Students in Mrs. Laird’s class were very excited to try out these STEM projects. 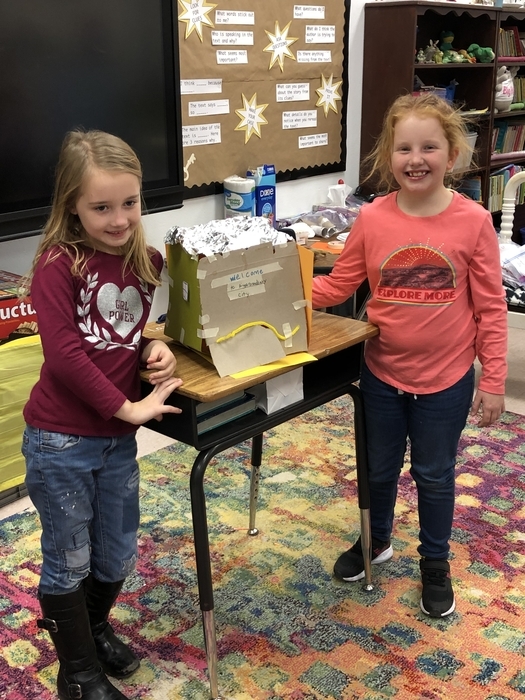 They worked in small groups to choose a project and make it. 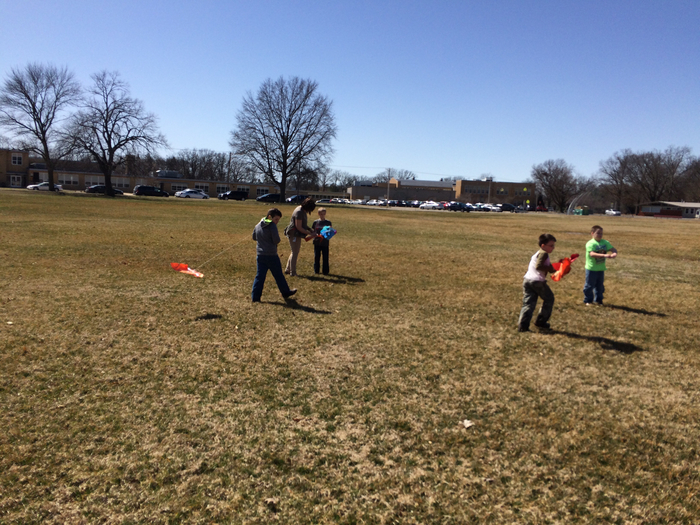 Students had to create balloon rockets, shelters, and musical instruments to name a few. 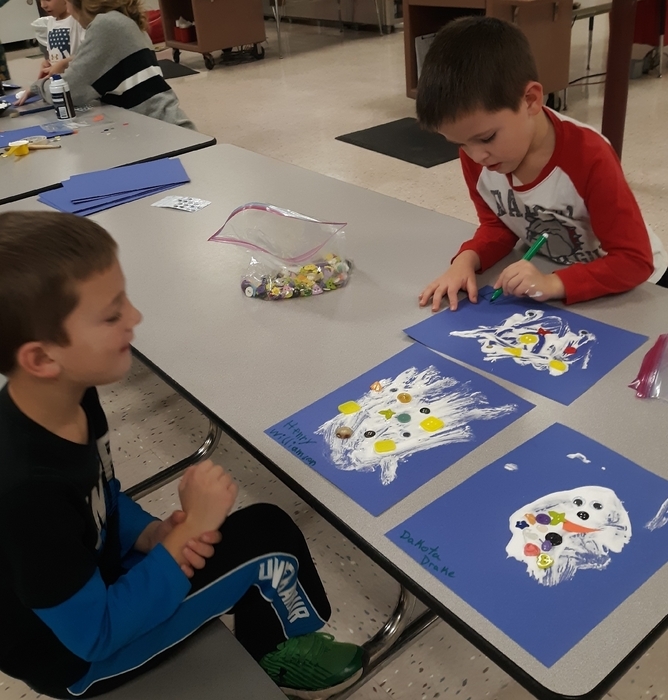 They had a lot of fun with this hands-on learning! 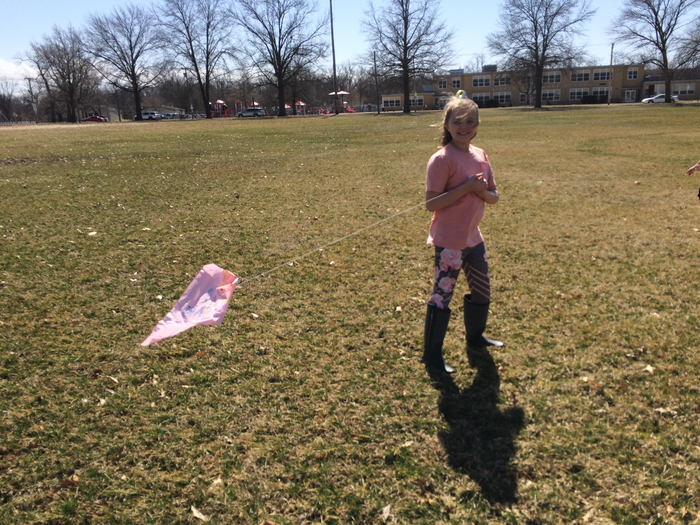 Thank you Girl Scout Troop 80! 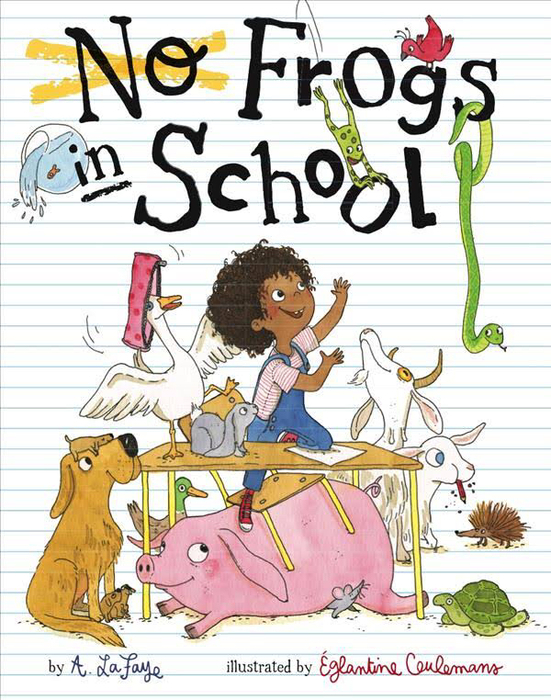 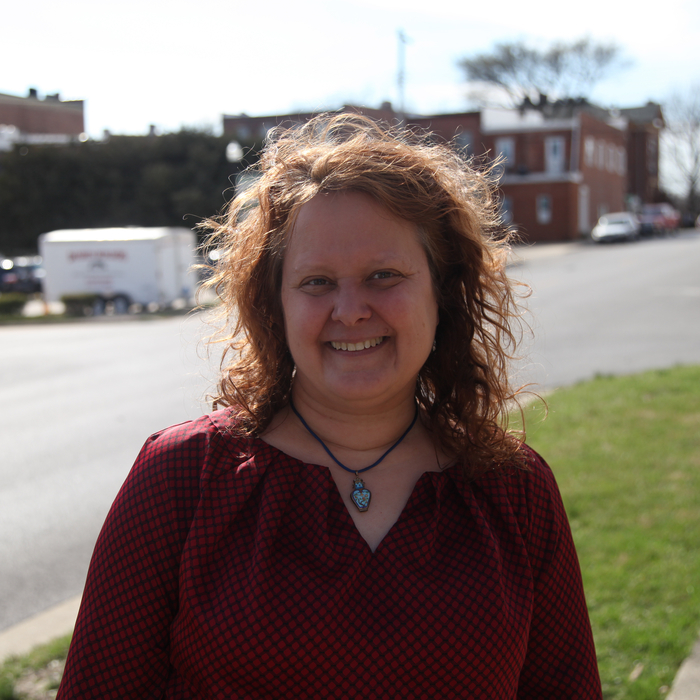 Author Alexandria LaFaye, award winning author, will be visiting Latzer Library on Thursday, January 31st at 6:30 p.m. 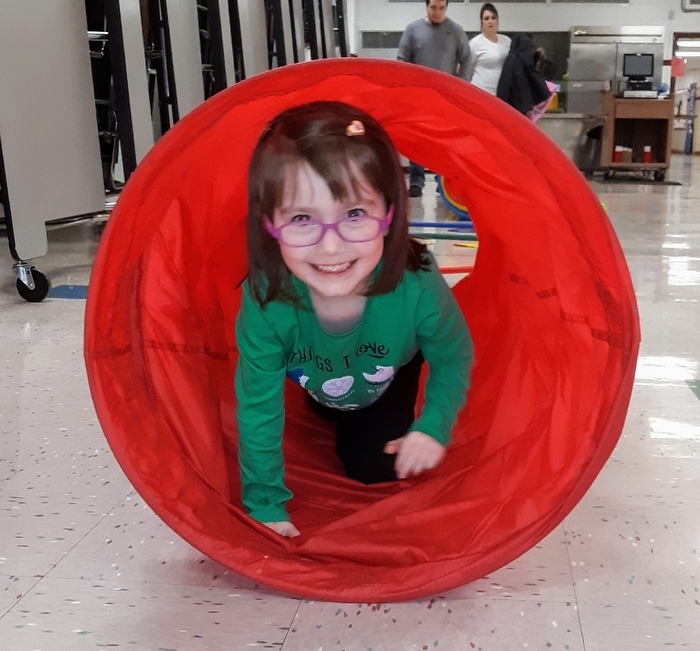 Please come to the library to meet her! 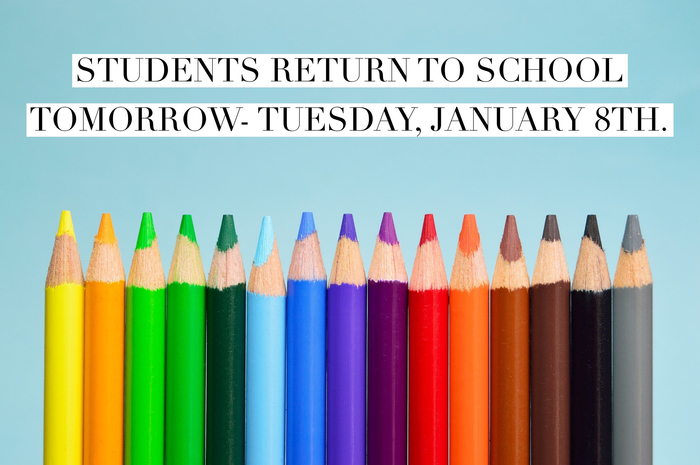 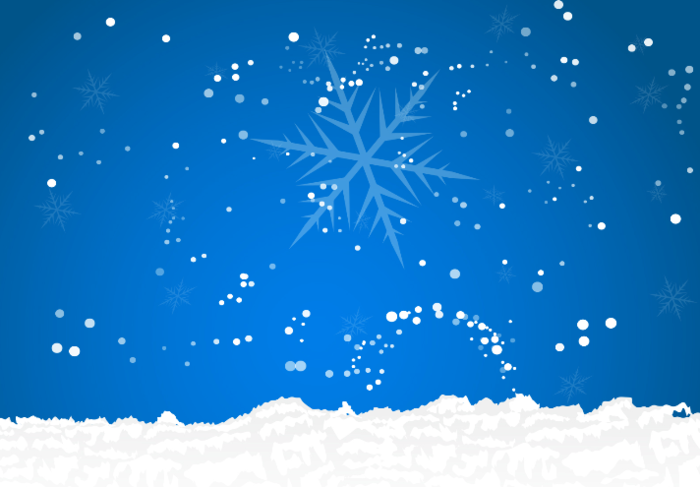 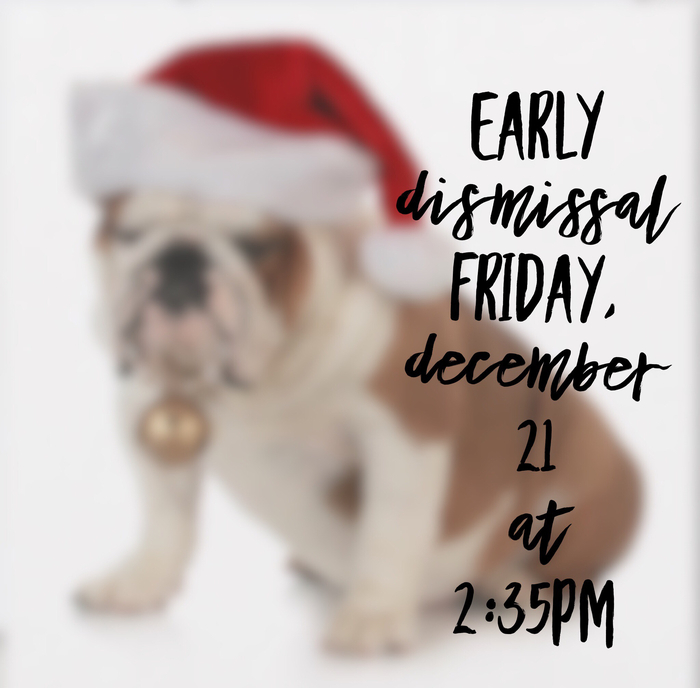 Students return to school tomorrow- Tuesday, January 8th. 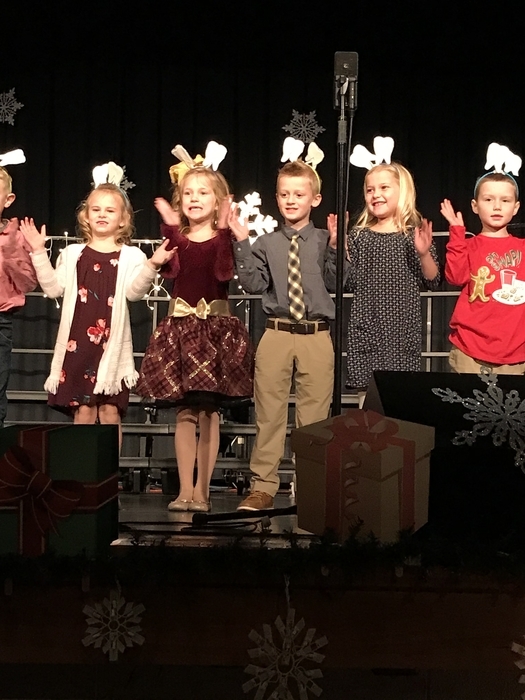 The 5 senses of Christmas! 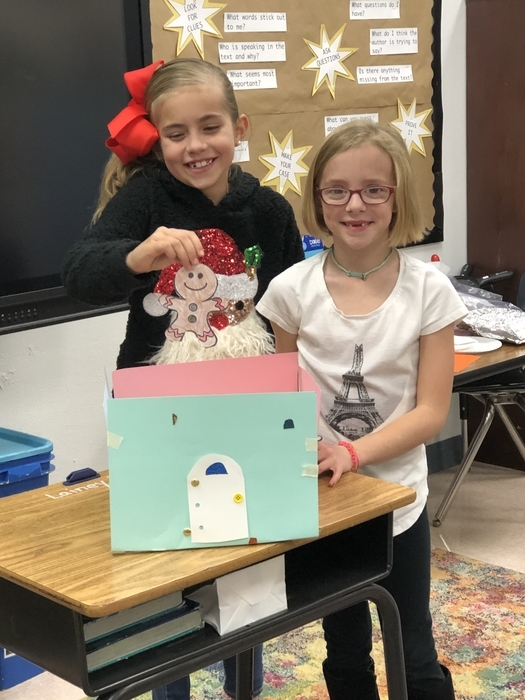 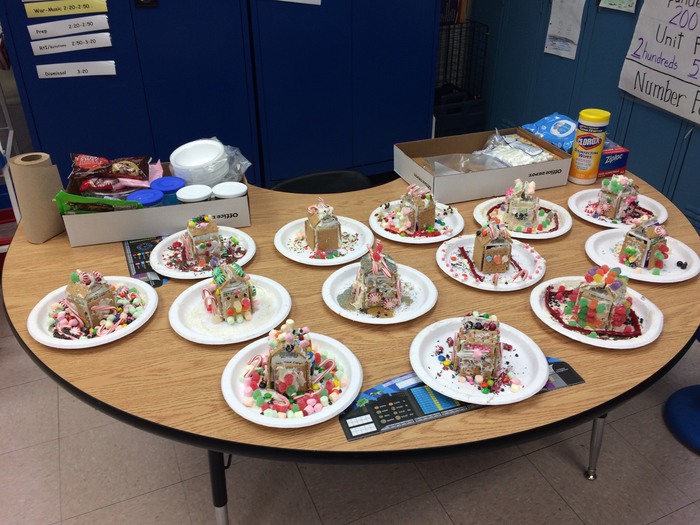 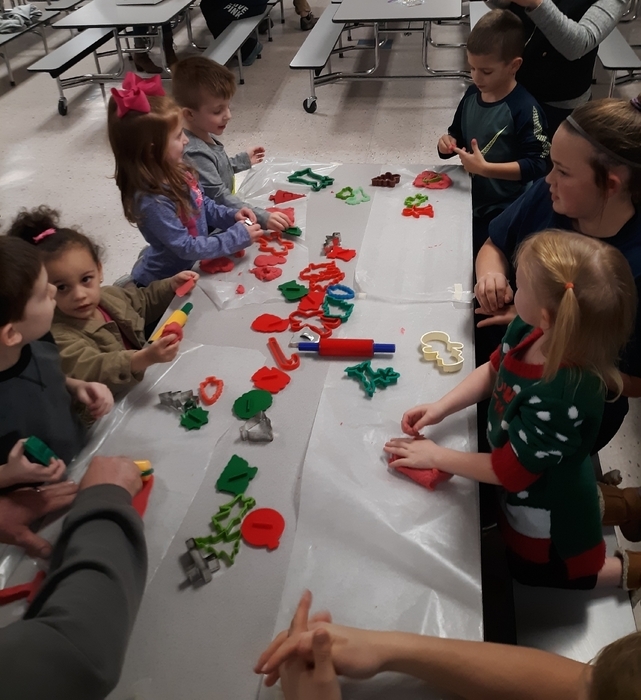 The students in Mrs. Weiss and Mrs. Bloemer's classrooms made gingerbread houses for a holiday fun activity! 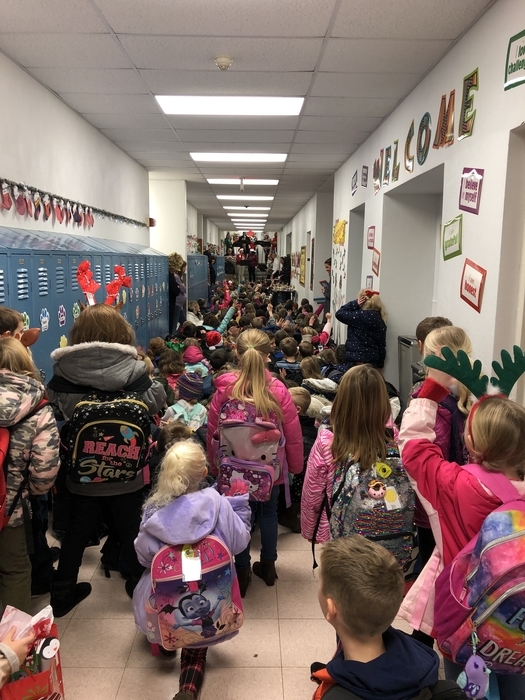 Santa Band live and in the 2nd grade hallway!! 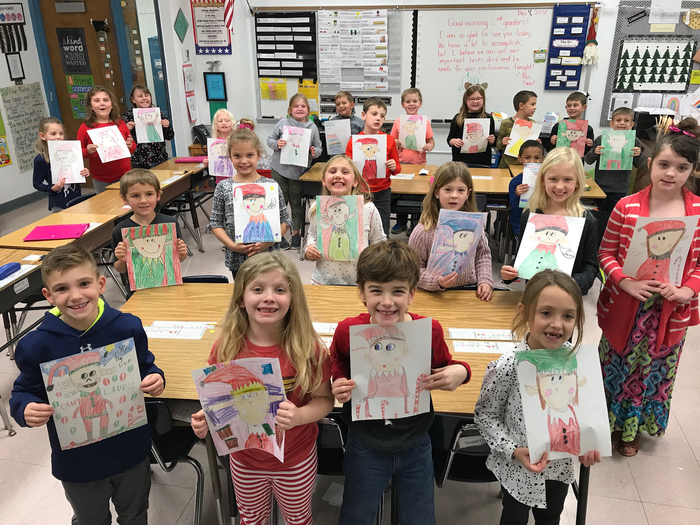 Students in Mrs. Smart’s class completed a directed drawing of elves before the Christmas concert. 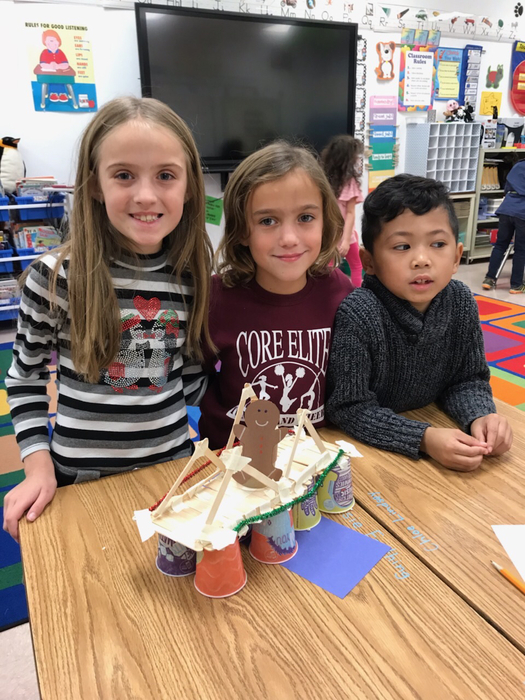 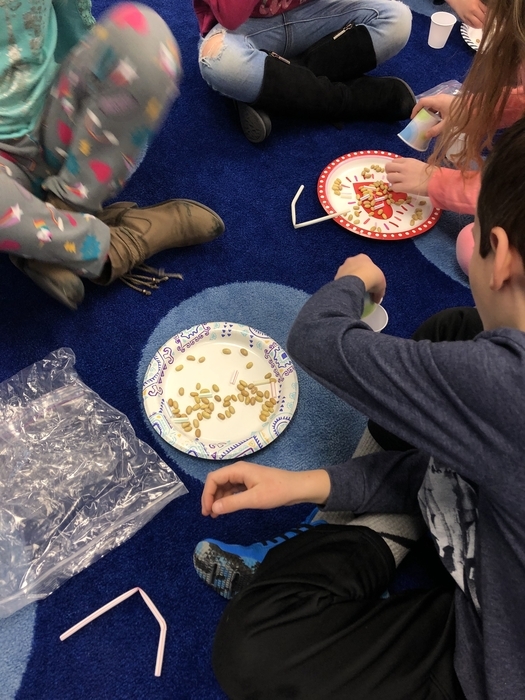 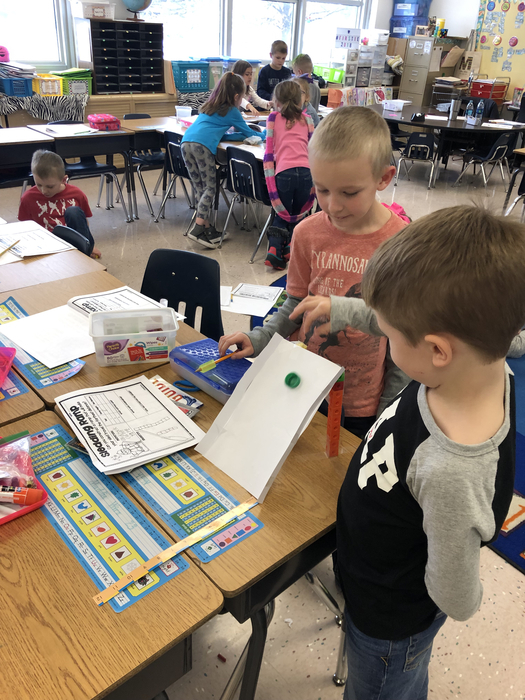 Students in Mrs. Laird's room had fun with their STEM project. 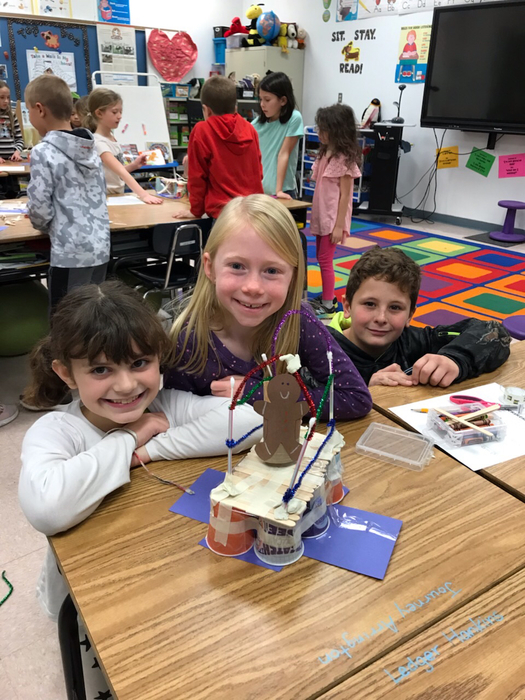 They had to design a bridge for the gingerbread man to safely cross the river. 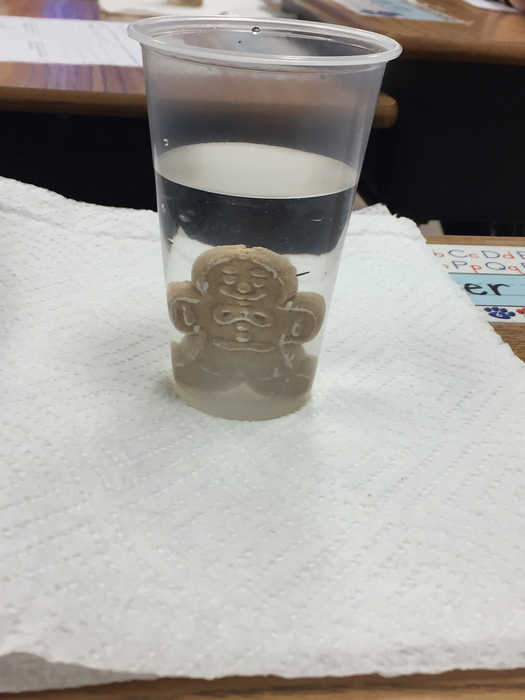 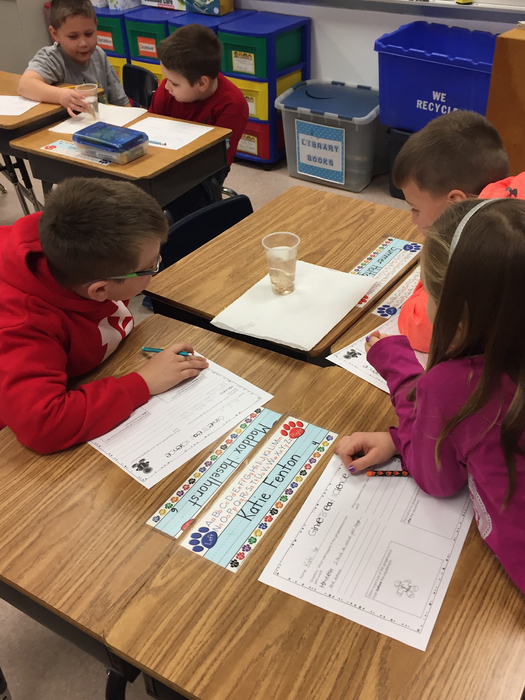 Mrs. Sinnock’s Class investigates what would happen if the Gingerbread Man had gotten wet in the river! 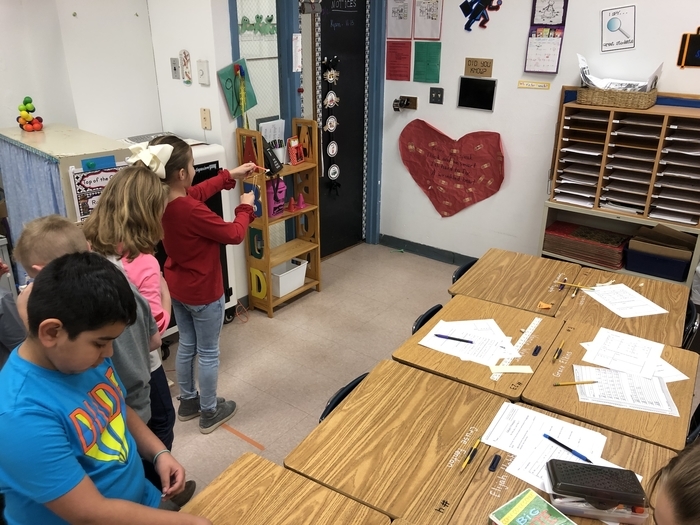 Ms. Kellerstrass’s Class is determined to catch The Gingerbread Man in their traps!! 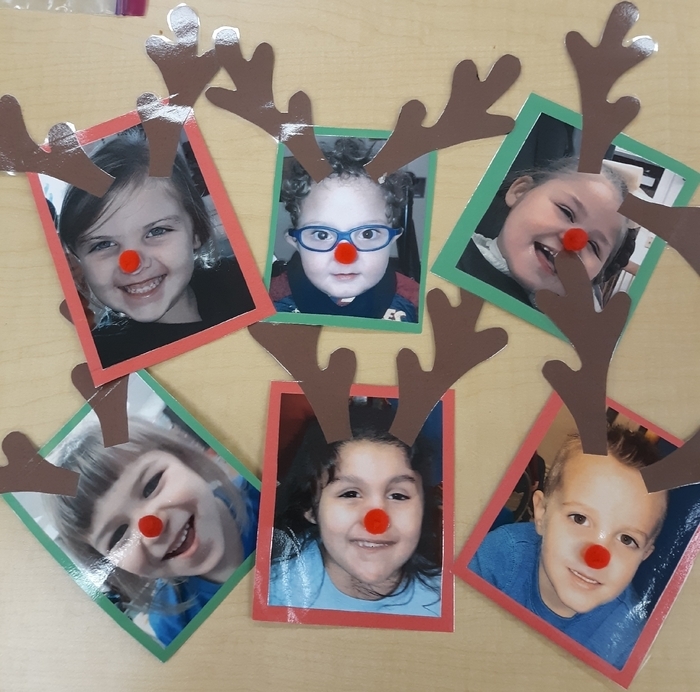 The cutest reindeer Santa ever did see! 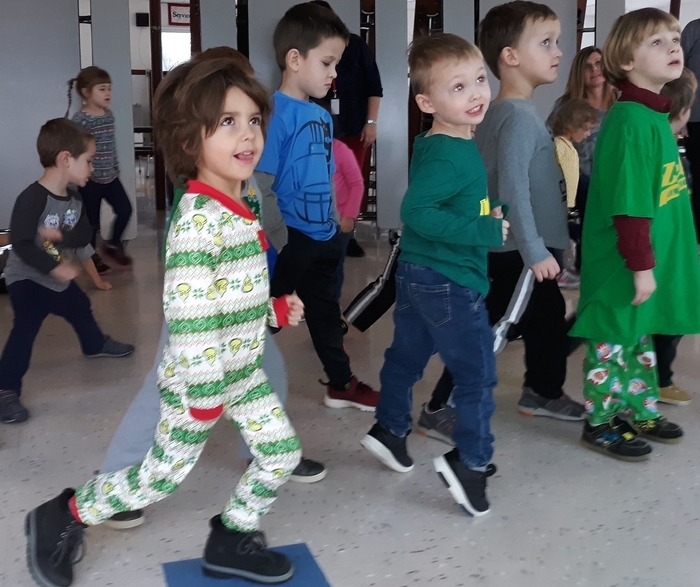 Reindeer Yoga in Young Athletes' Practice today! 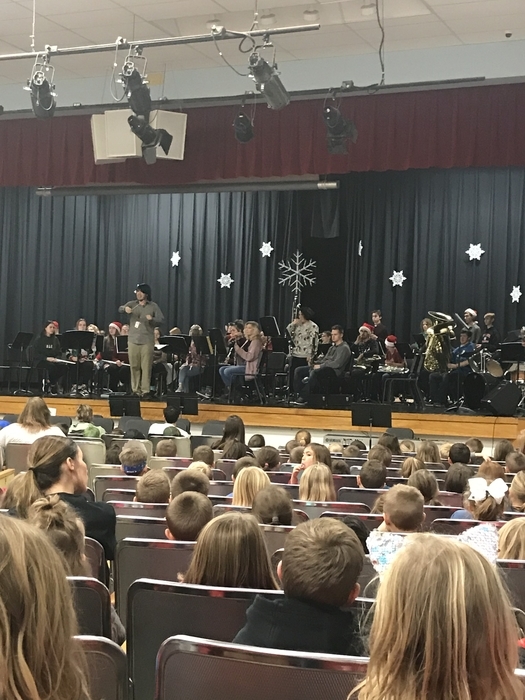 HHS band plays for HP! 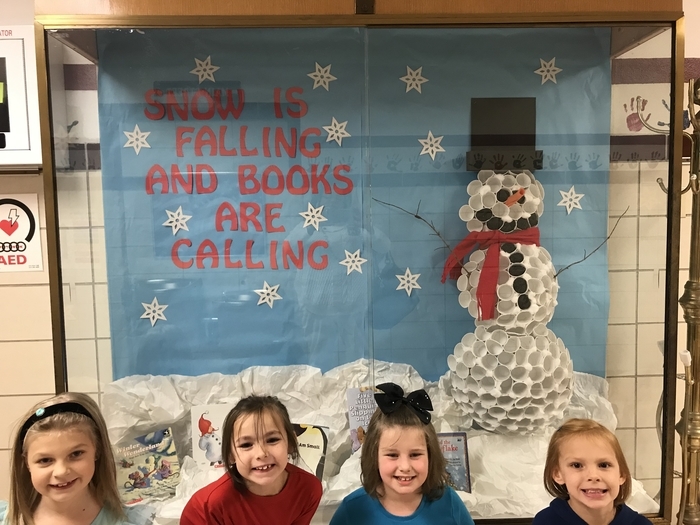 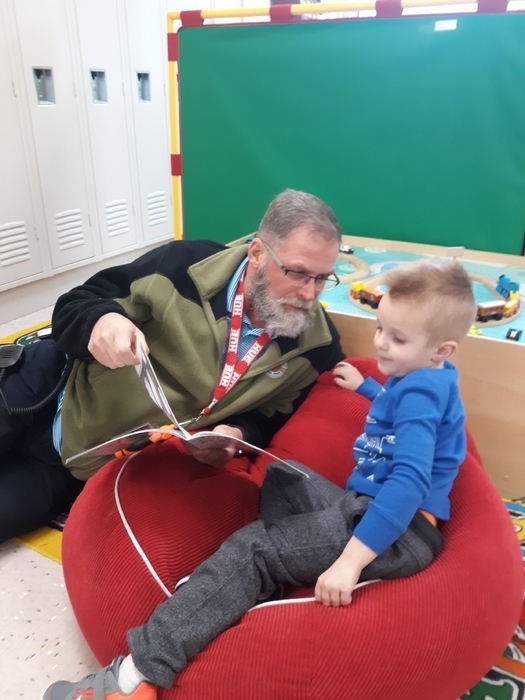 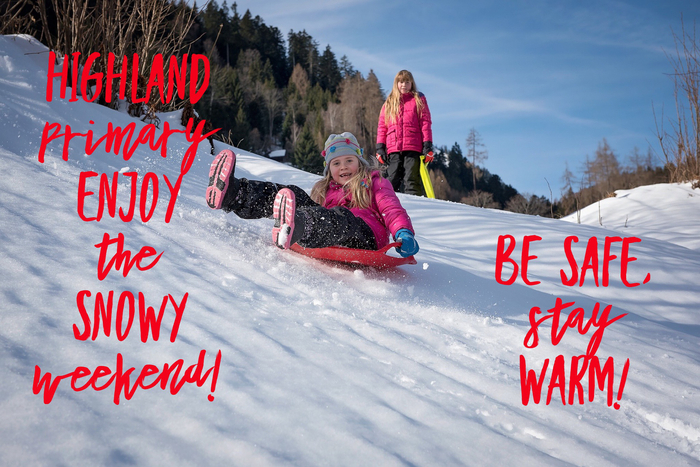 Reading is the best snowy day activity! 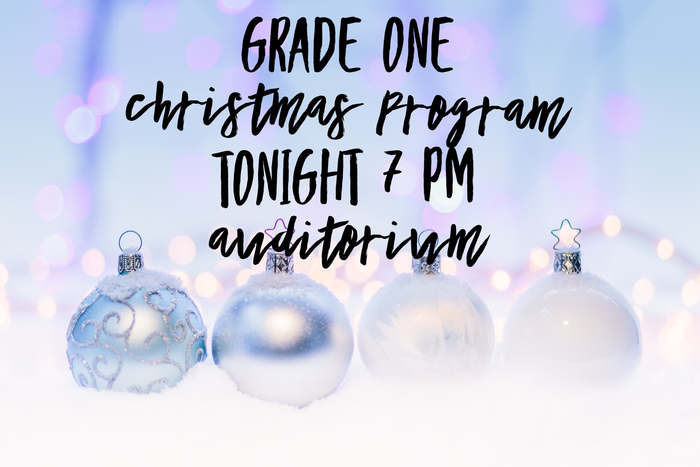 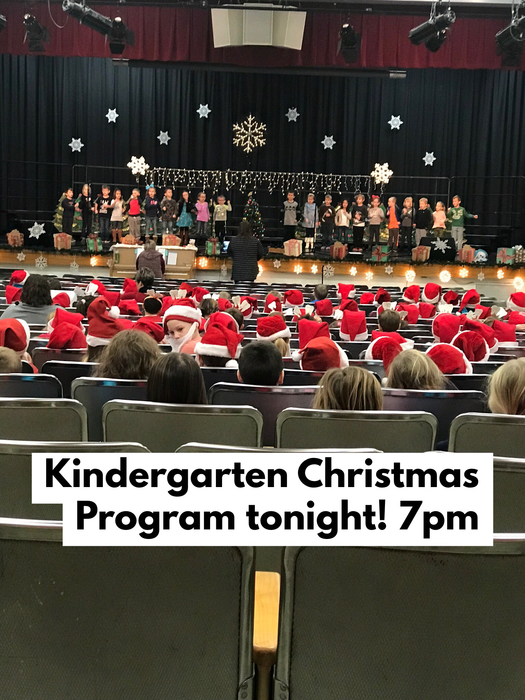 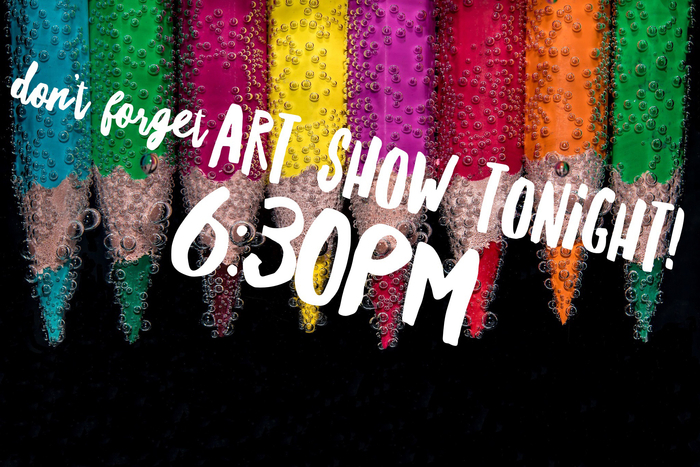 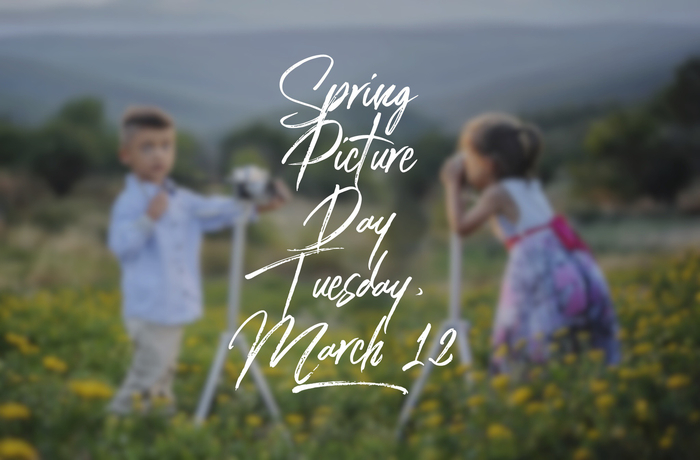 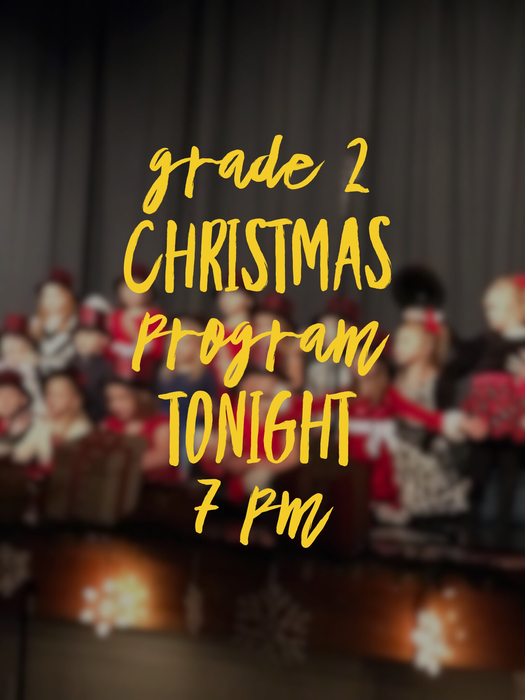 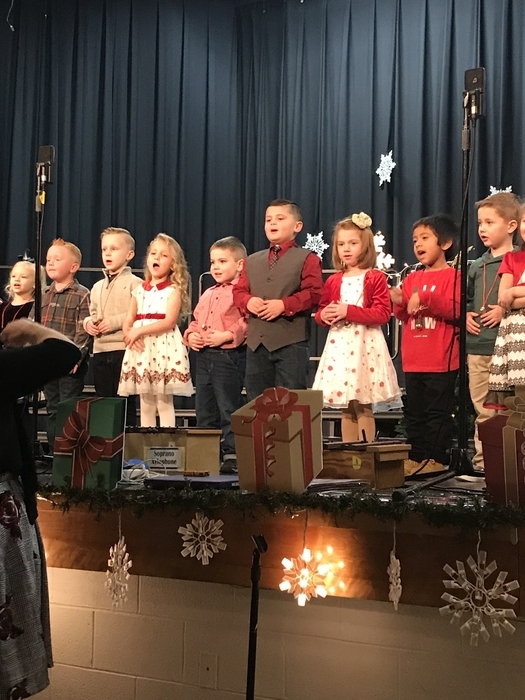 Grade One Program tonight at 7 pm. 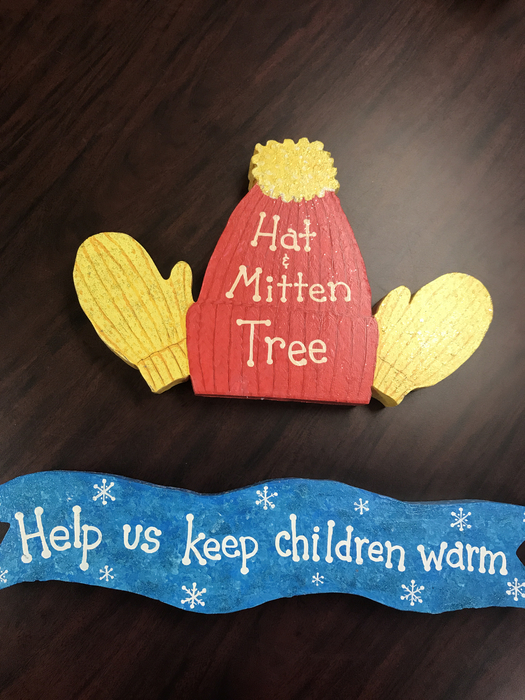 The Primary is collecting hats, gloves and mittens for less fortunate children. 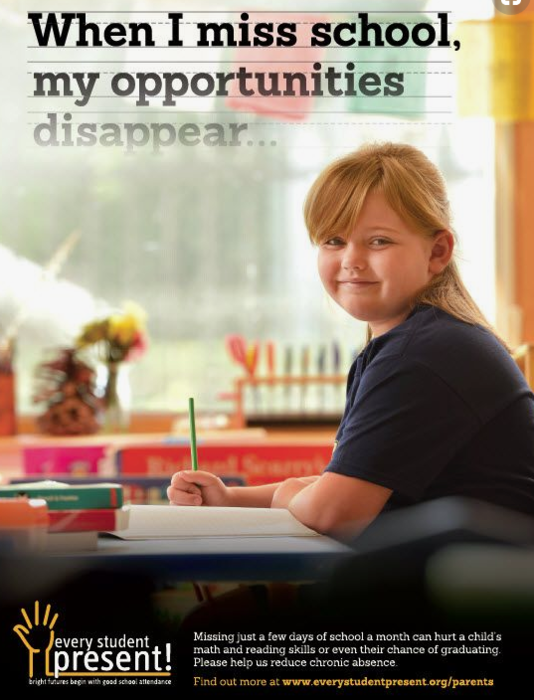 Please help if you can! 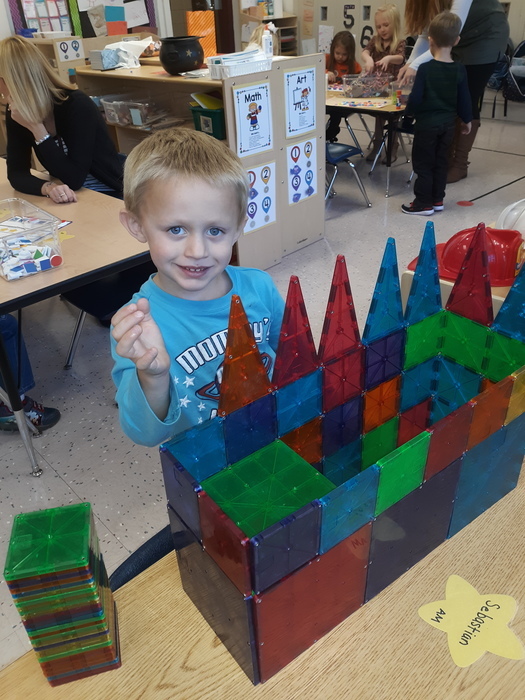 An architect in the making? 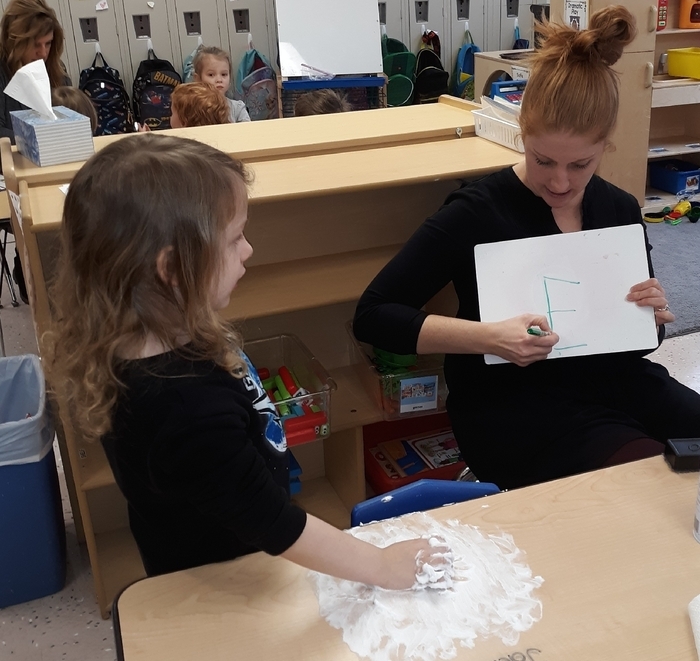 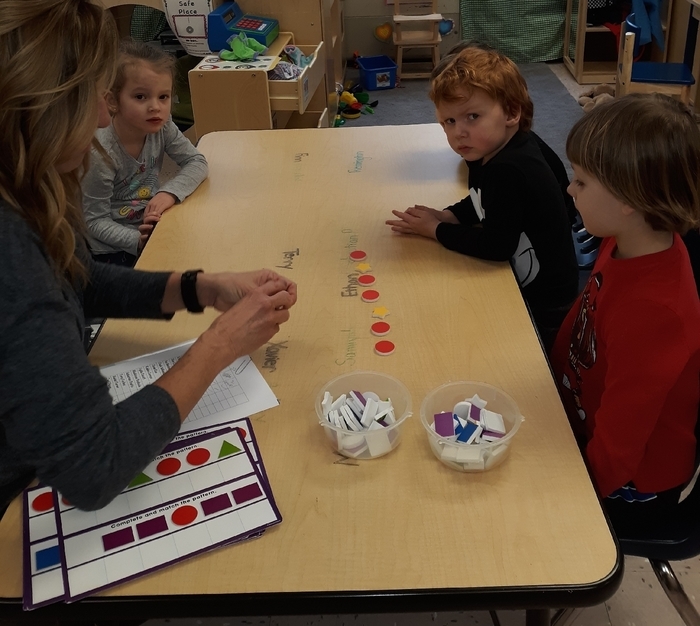 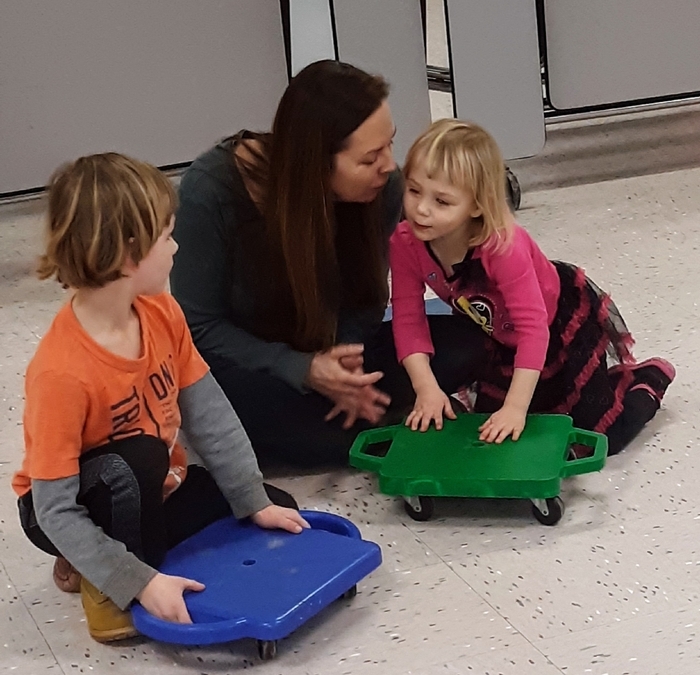 Learning through play in Pre-K! 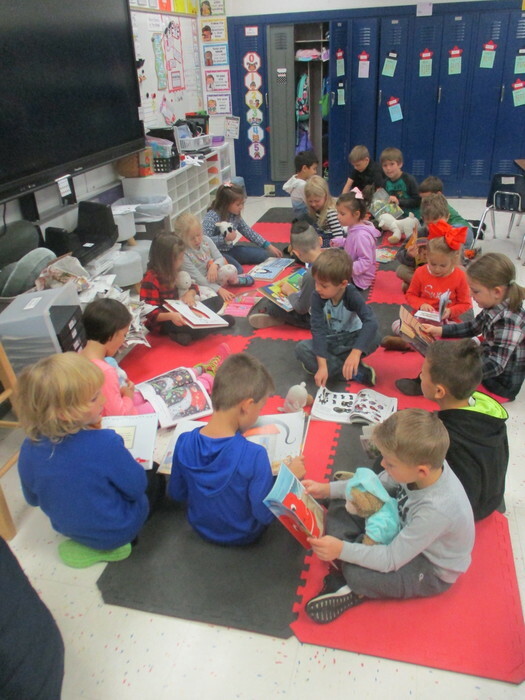 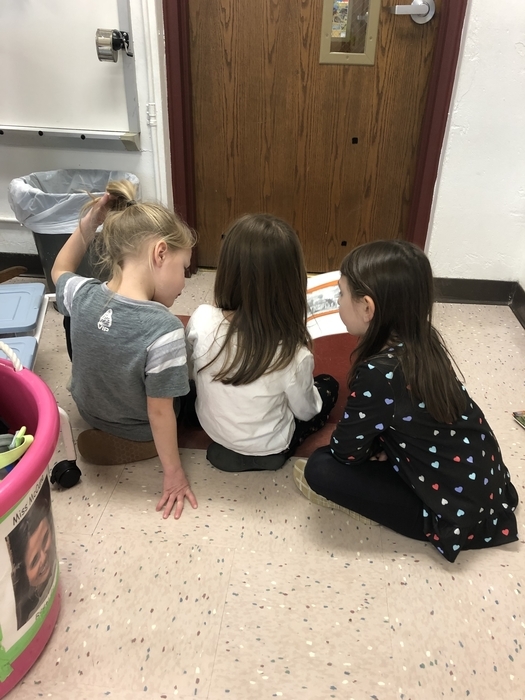 Kindergarteners reading with their buddies during Read Week. 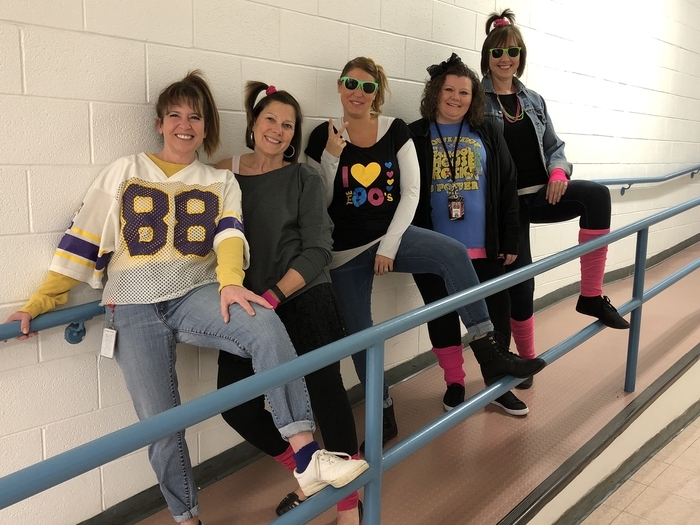 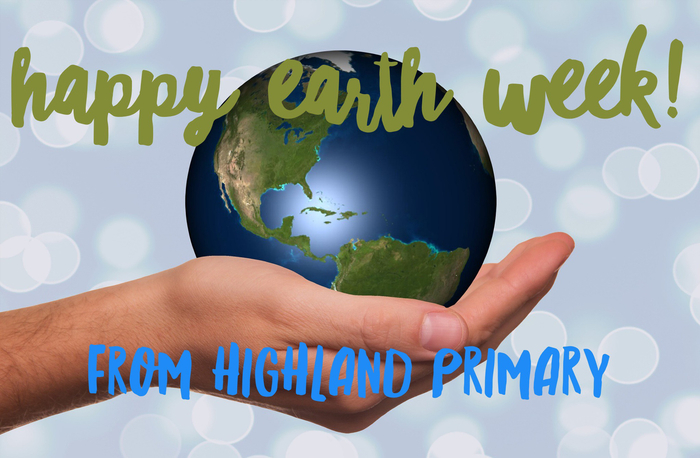 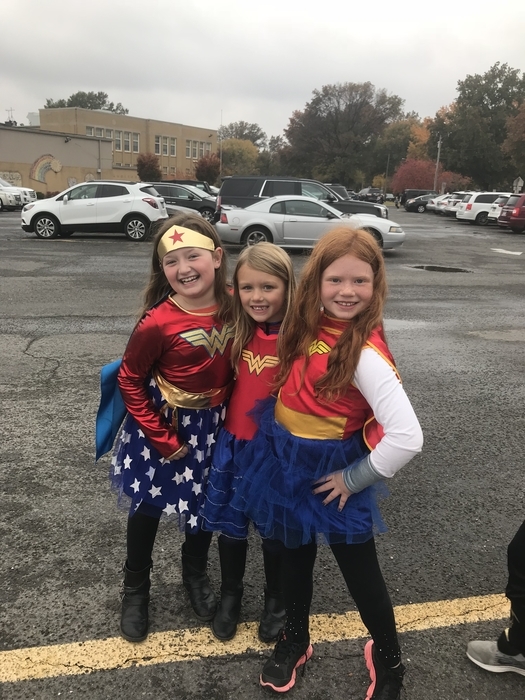 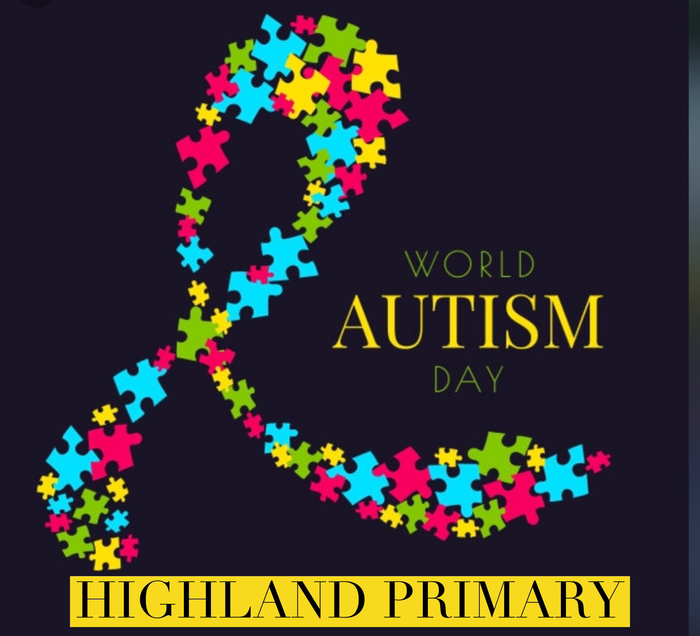 Next week is Read Week at Highland Primary. 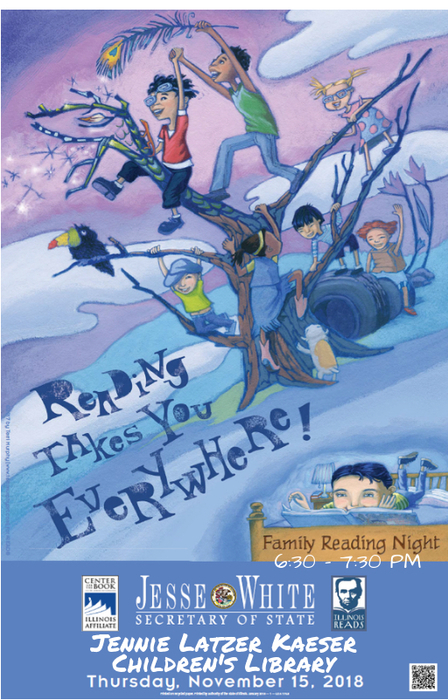 Latzer Library is hosting a Family Reading Night on Thursday, 11/15 at 6:30-7:30pm. 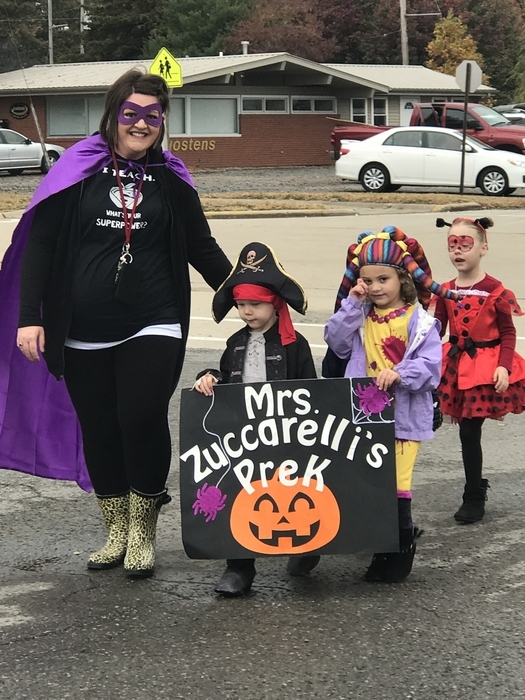 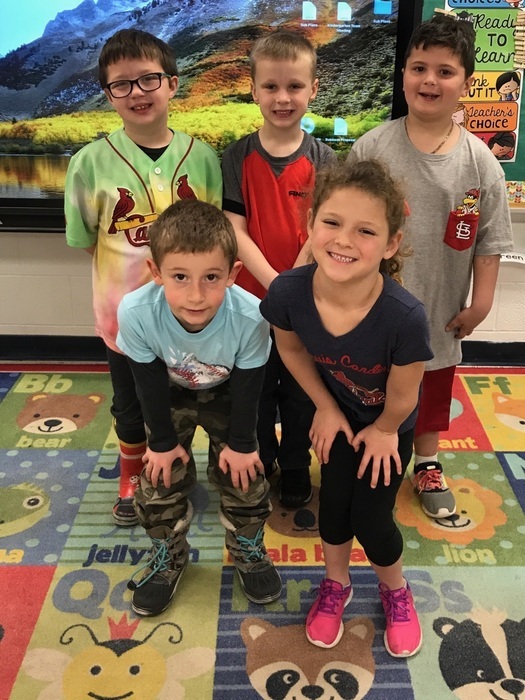 Today was the 1st grade AR zoom up! 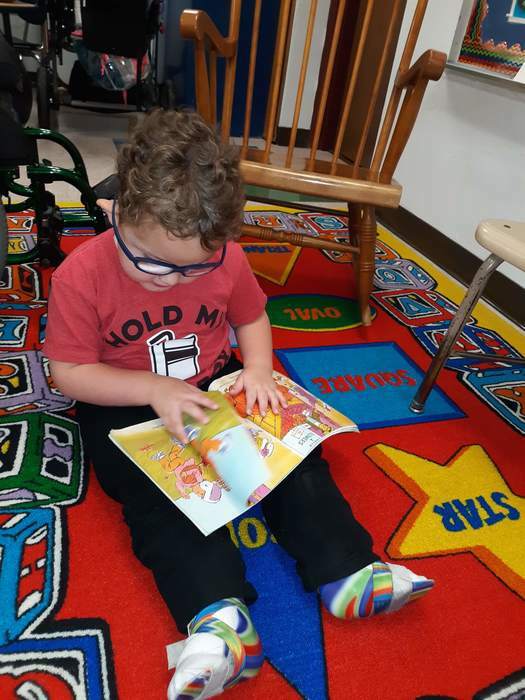 AR is a program that encourages kiddos to read books at their individual level. 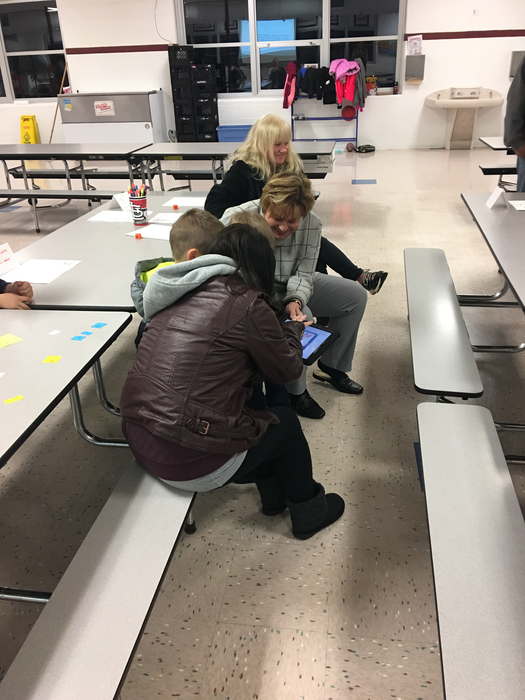 They are able to take tests on the iPad to demonstrate reading comprehension. 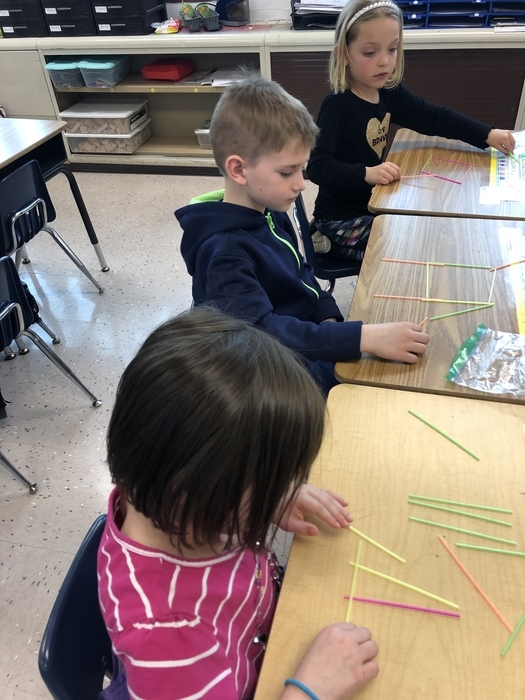 The kids love it because they can work towards prizes with their AR test points! 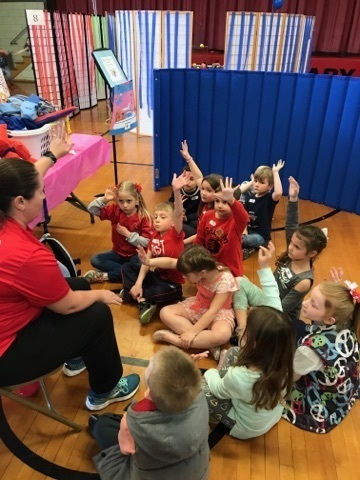 Come see us for Reading Tips tomorrow at 12:30pm-2:00pm in the HP cafeteria. 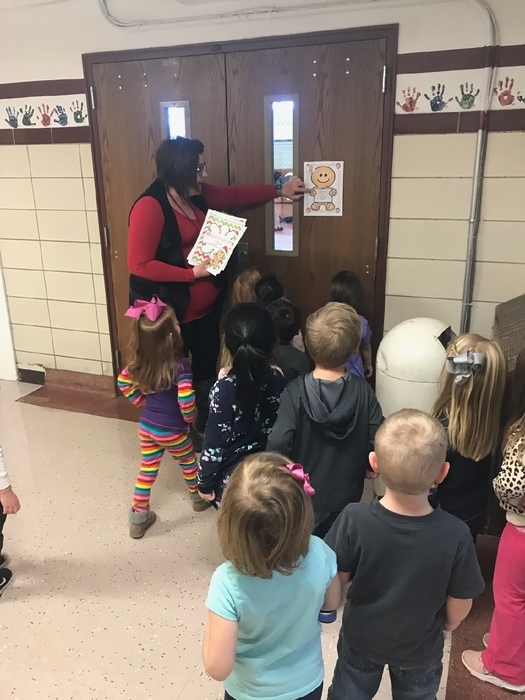 Reading Fall books in Early Childhood today! 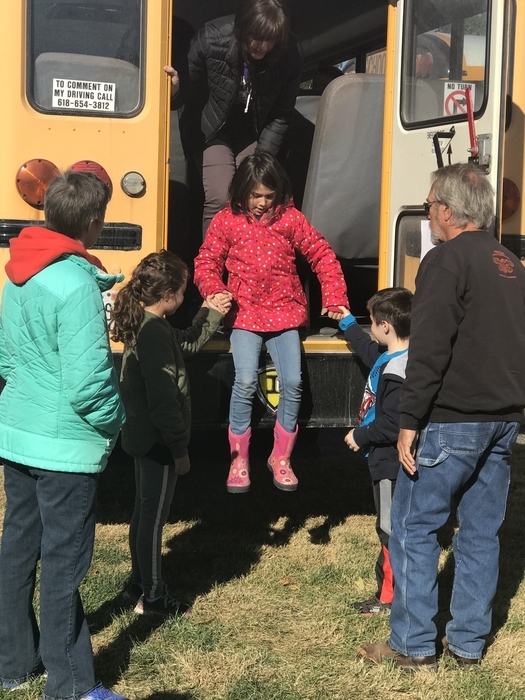 Our students are learning about bus safety! 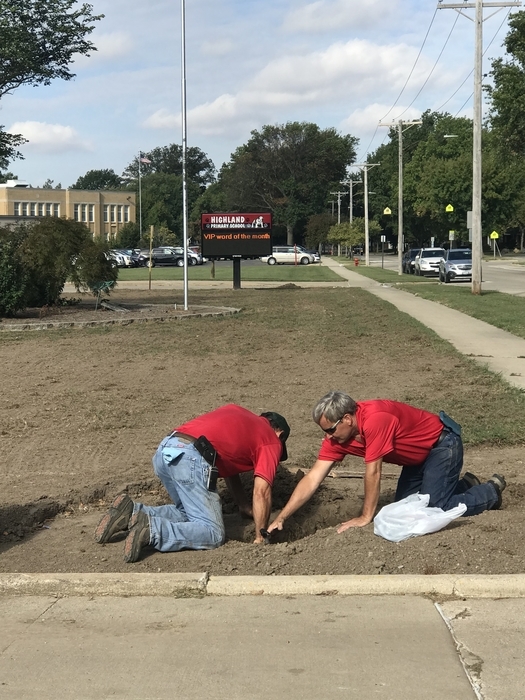 New landscaping at the Primary!